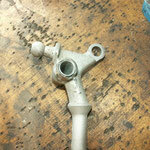 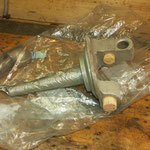 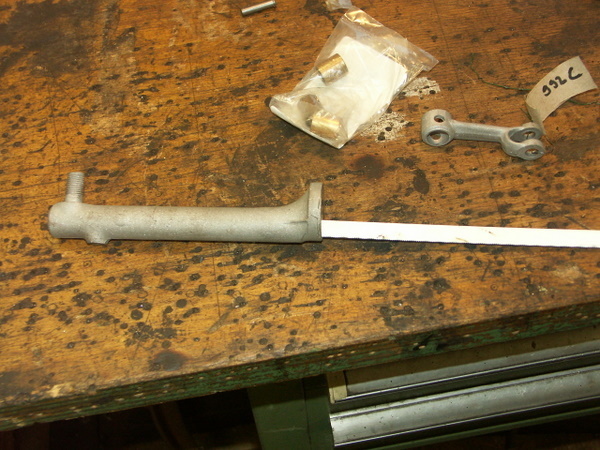 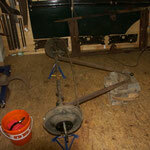 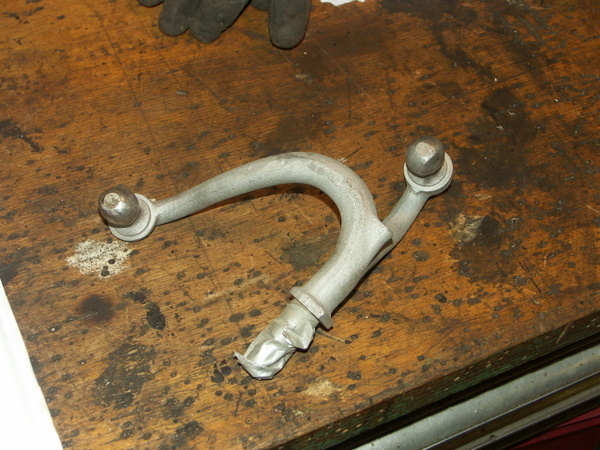 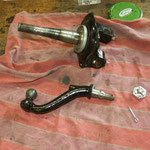 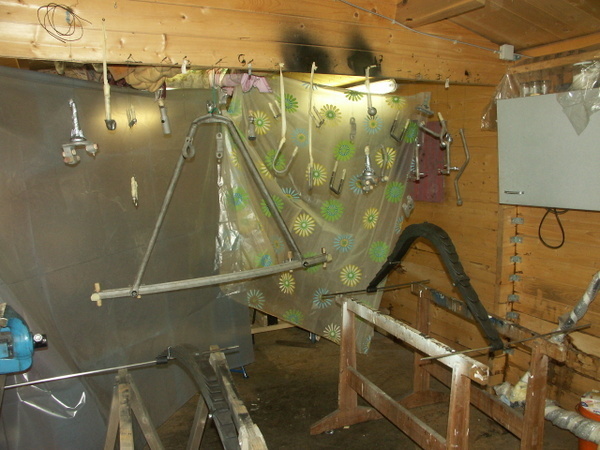 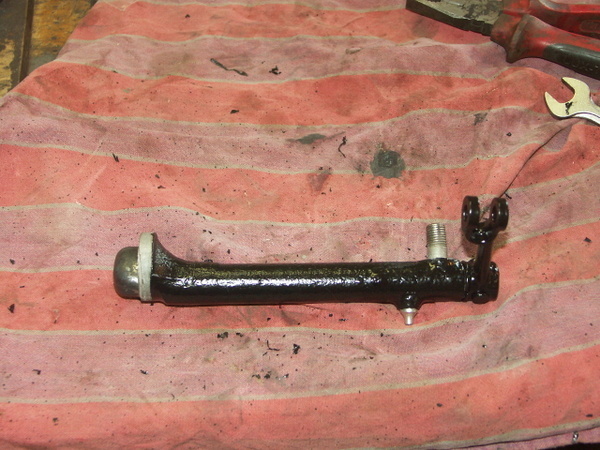 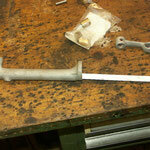 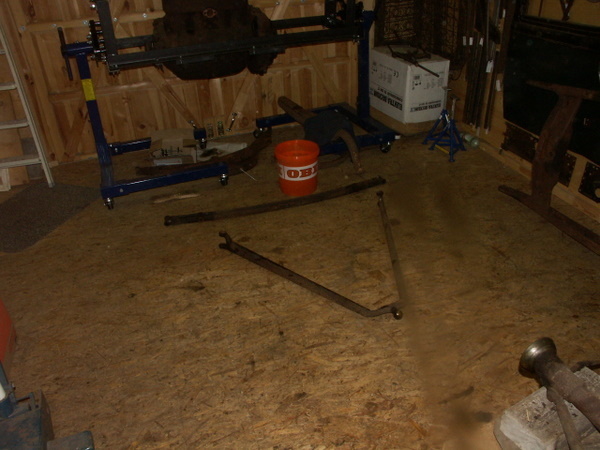 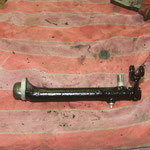 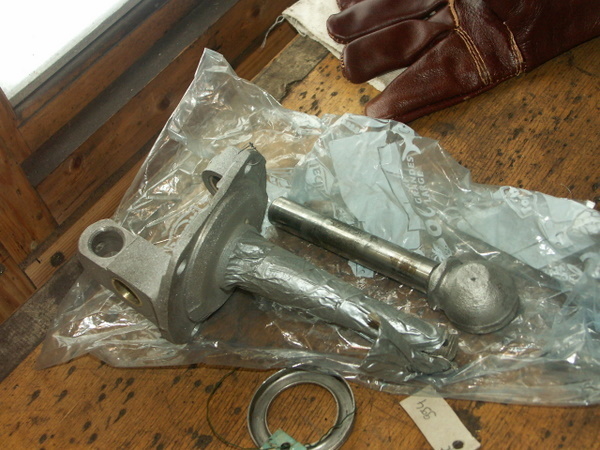 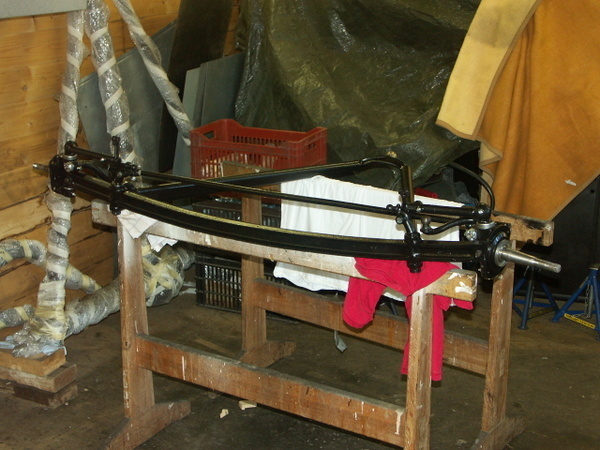 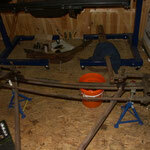 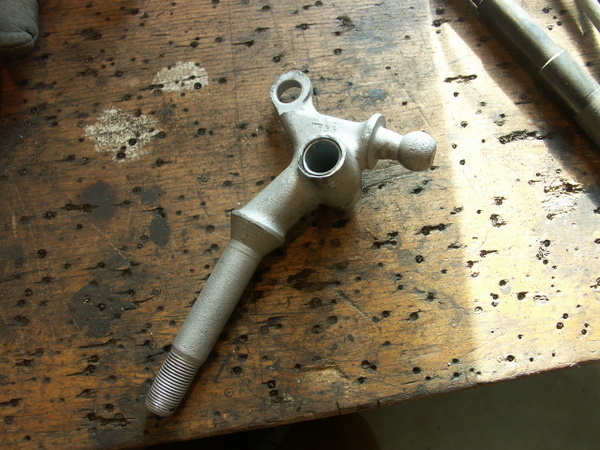 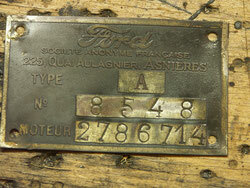 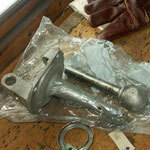 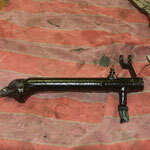 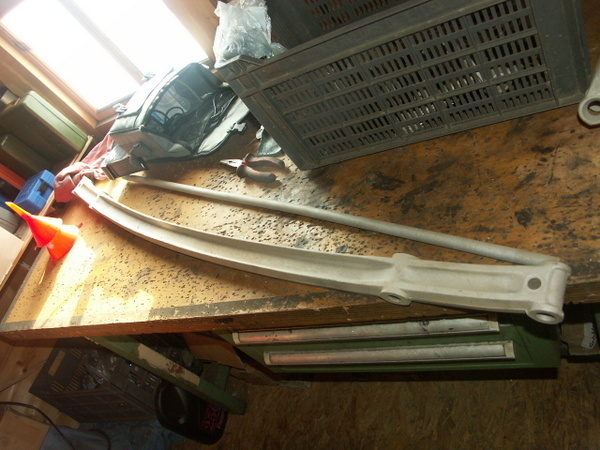 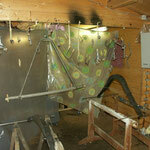 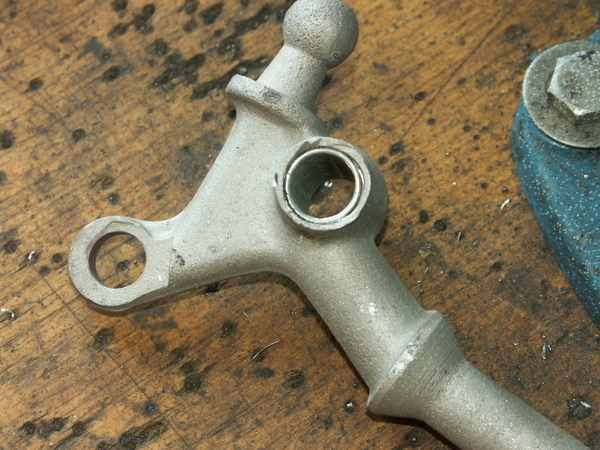 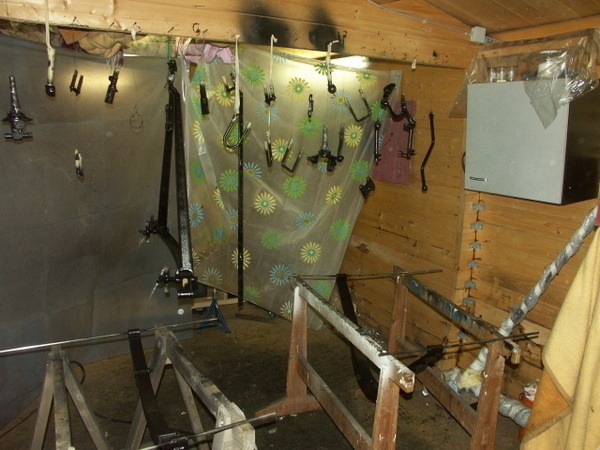 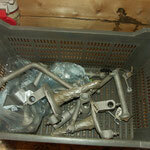 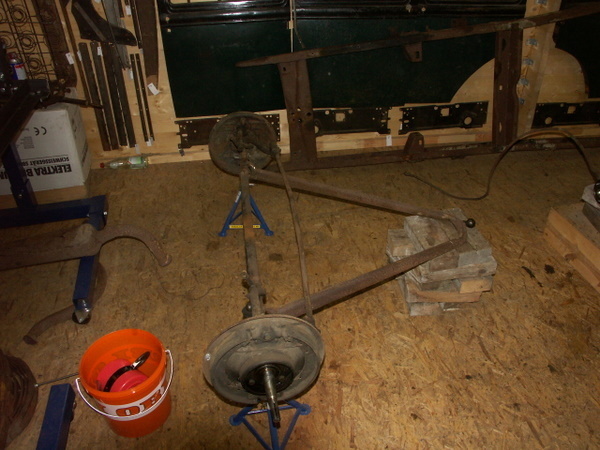 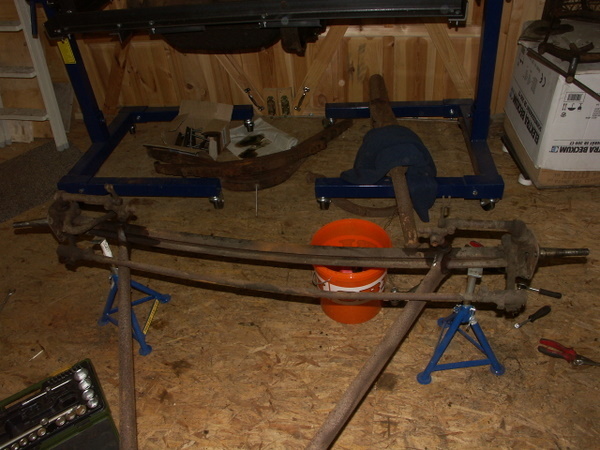 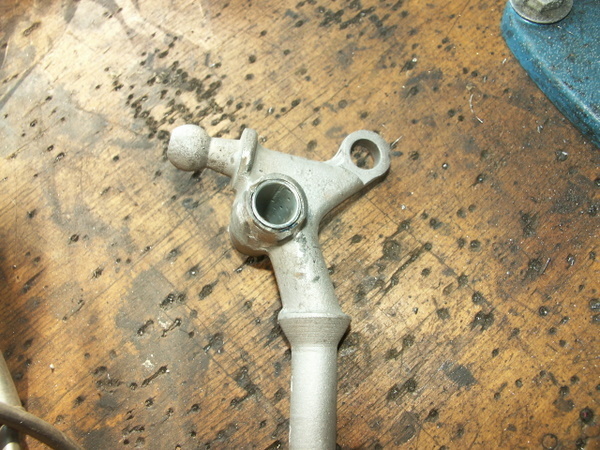 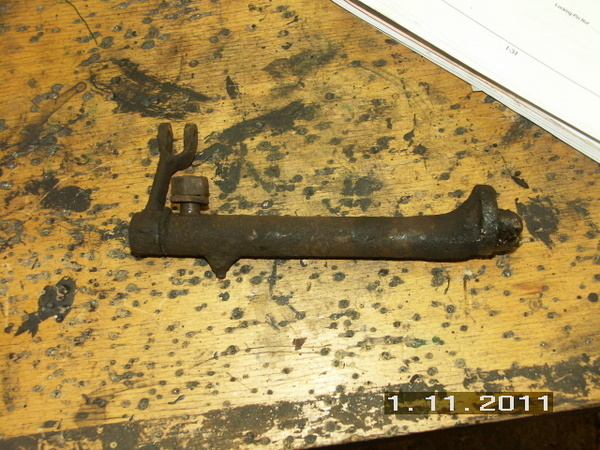 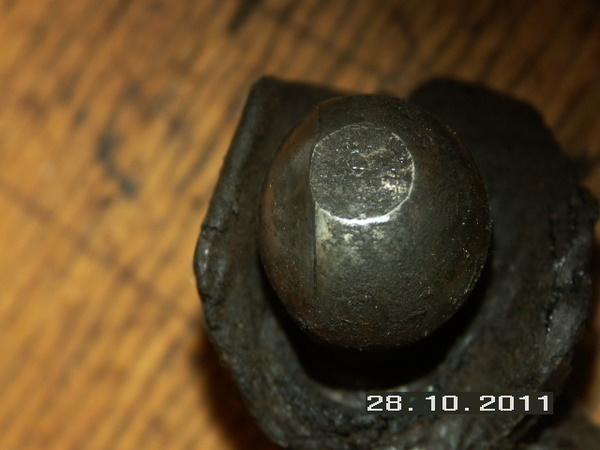 The Front axle was relatively well preserved, so that almost all parts could be reused after sandblasting. 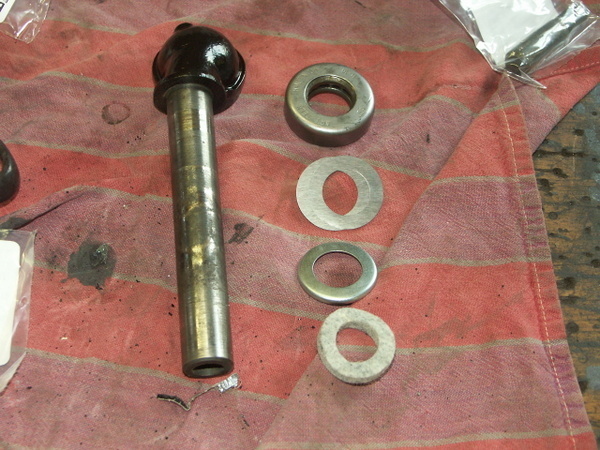 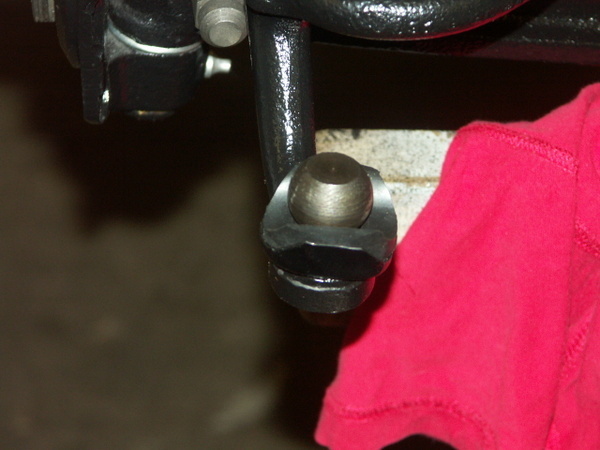 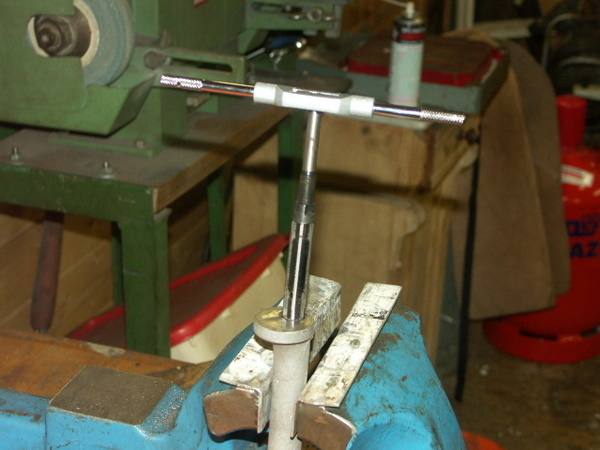 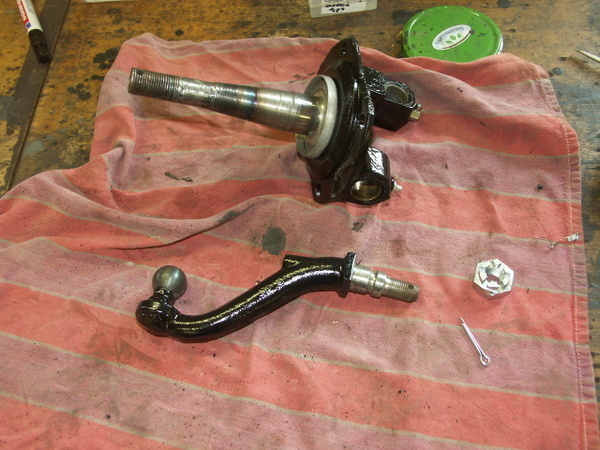 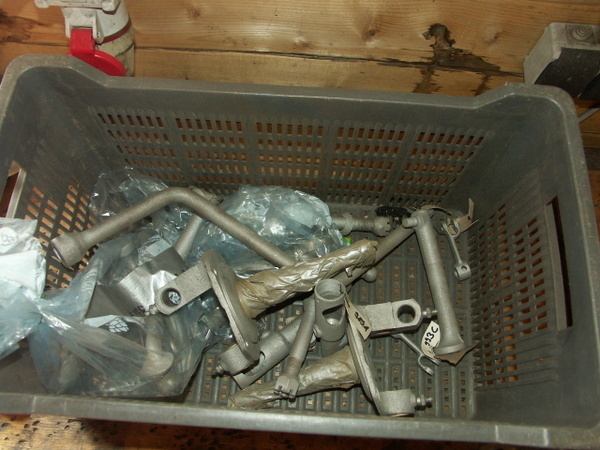 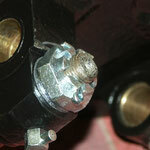 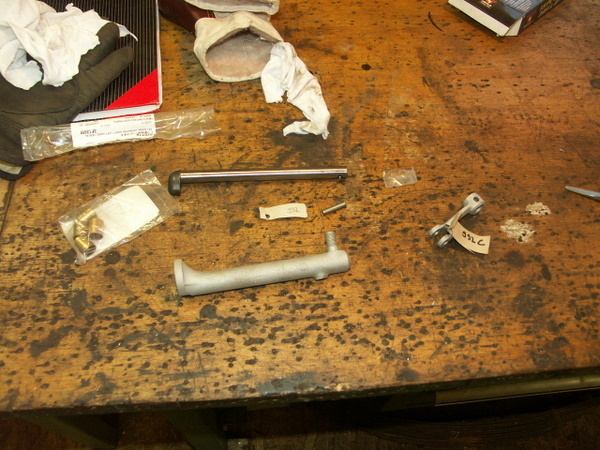 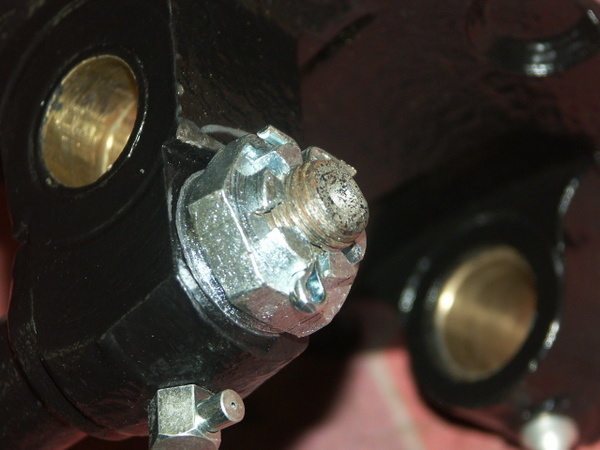 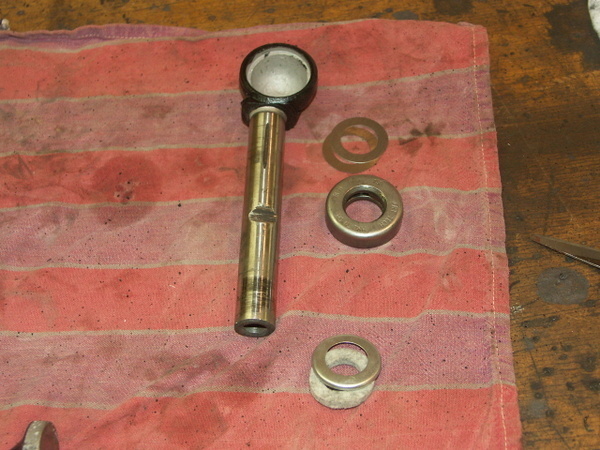 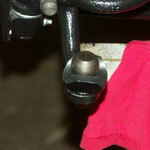 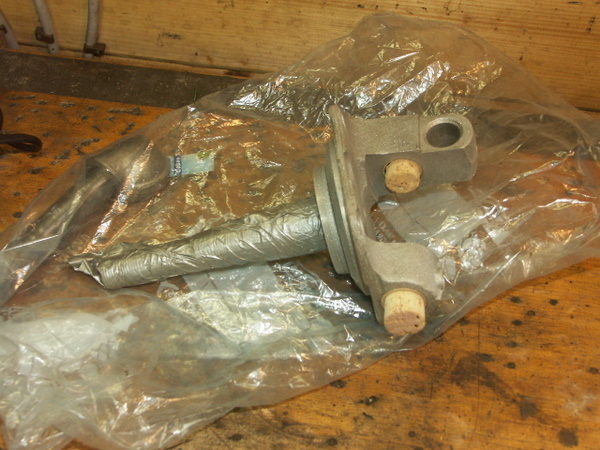 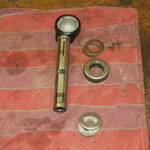 (Exception: Bushings, grease fittings and smaller parts of the "Front spindle kit"). 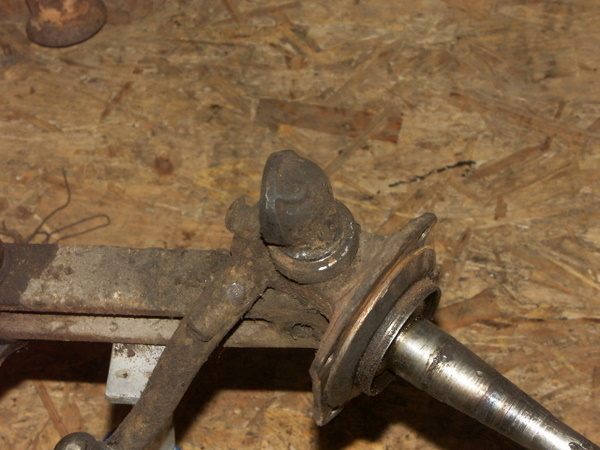 All the steering balls were out of round and were replaced. 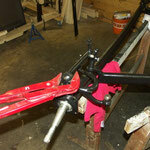 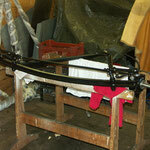 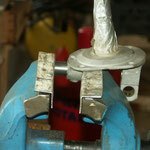 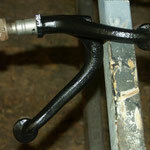 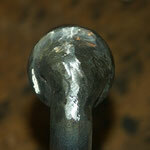 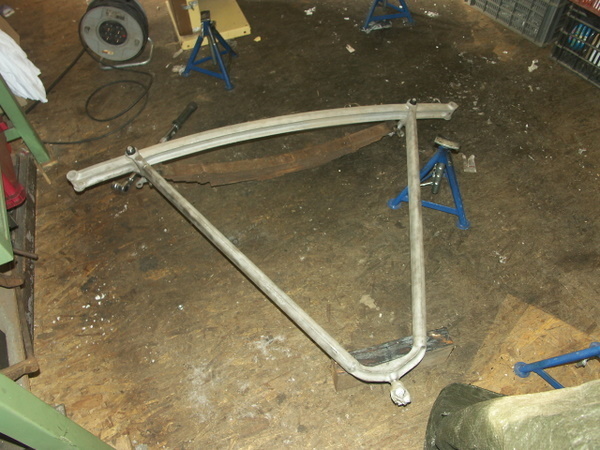 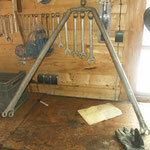 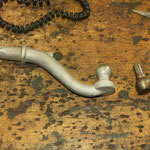 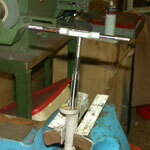 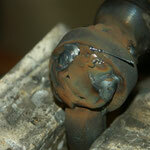 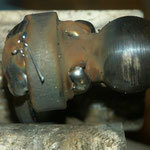 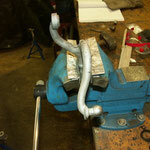 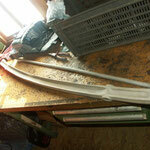 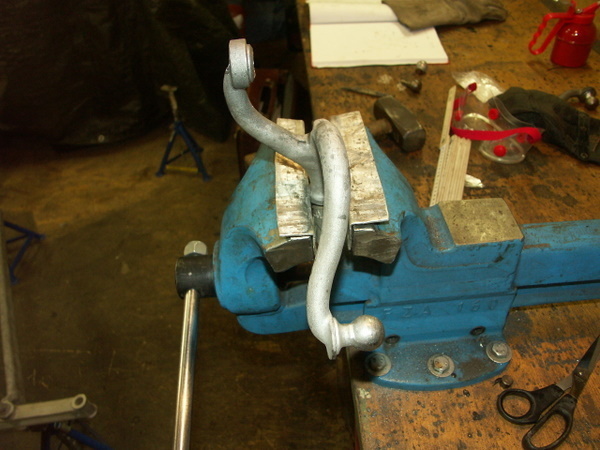 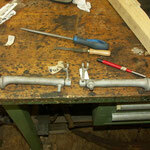 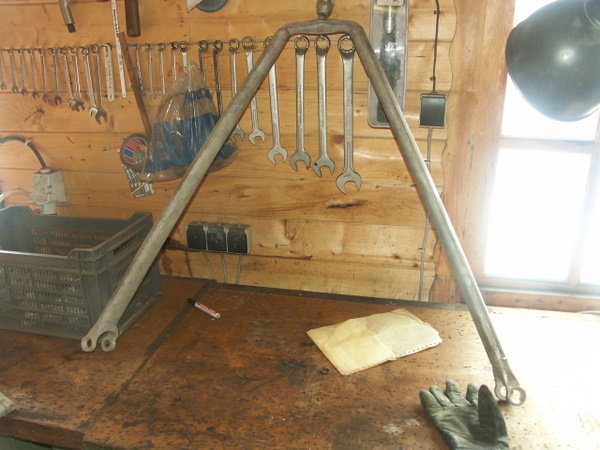 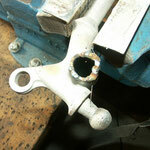 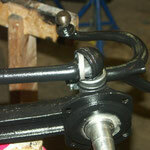 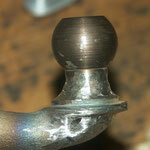 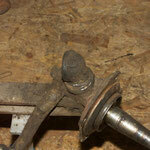 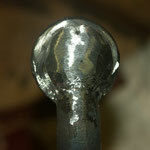 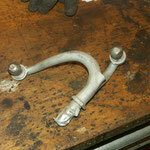 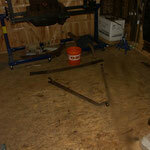 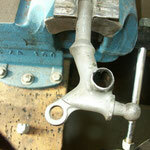 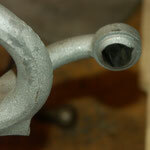 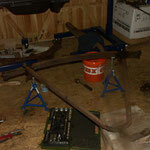 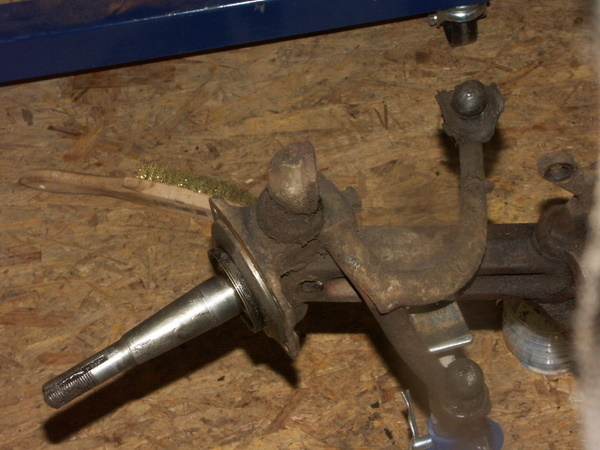 The spring perches had to be welded up. 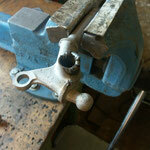 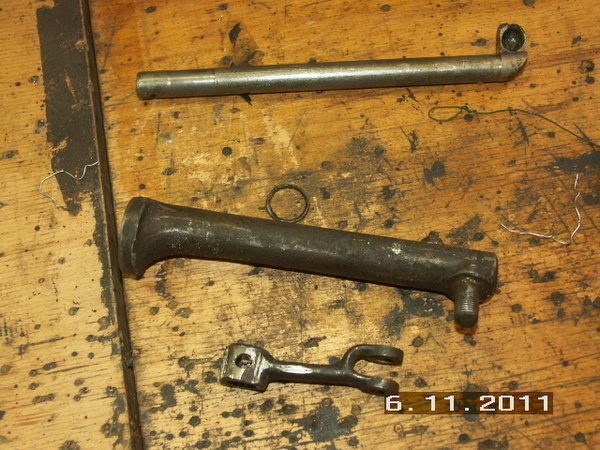 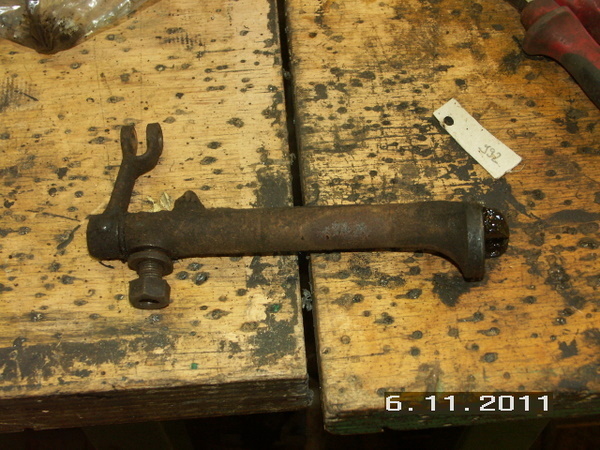 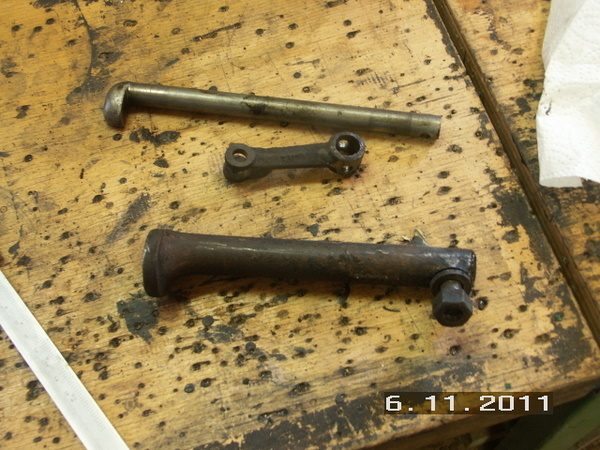 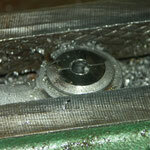 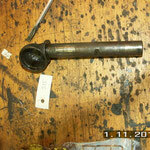 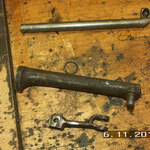 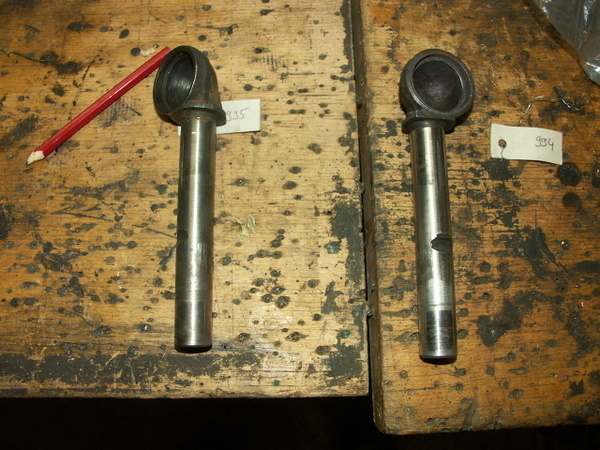 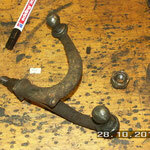 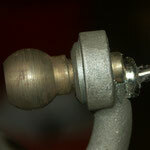 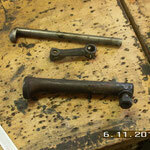 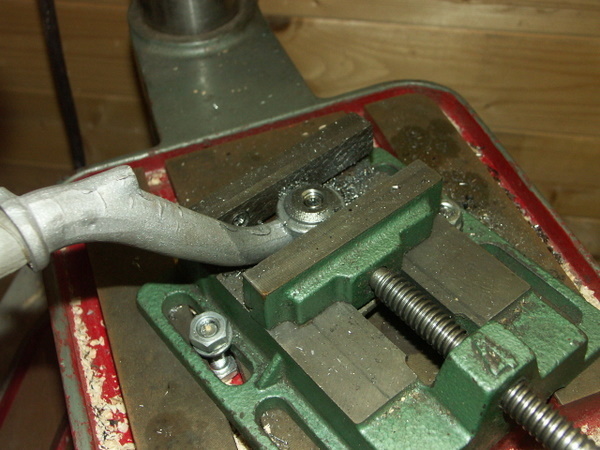 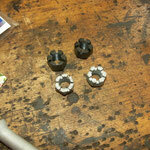 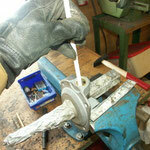 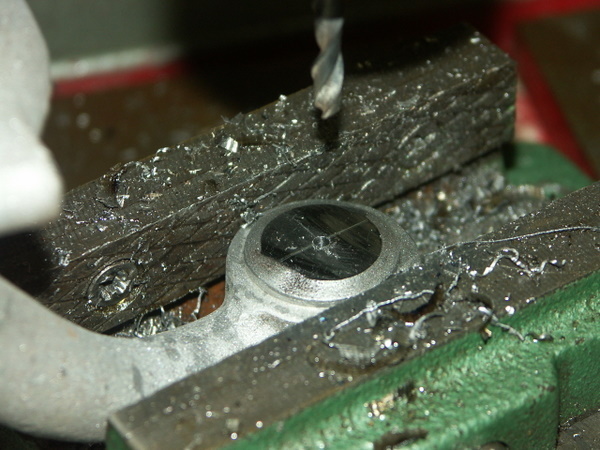 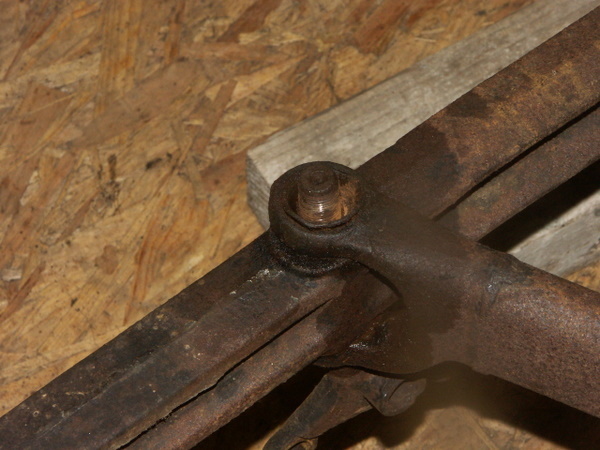 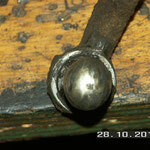 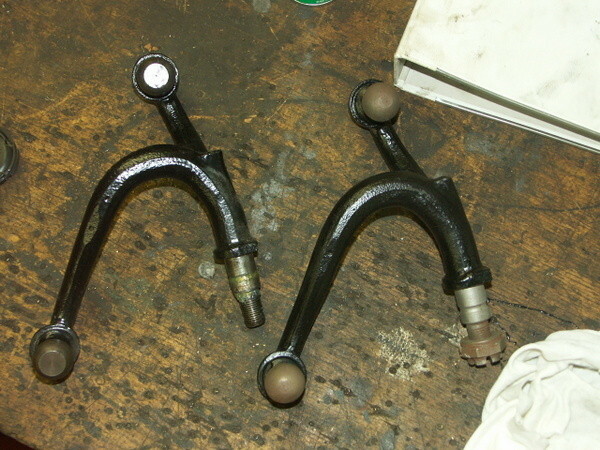 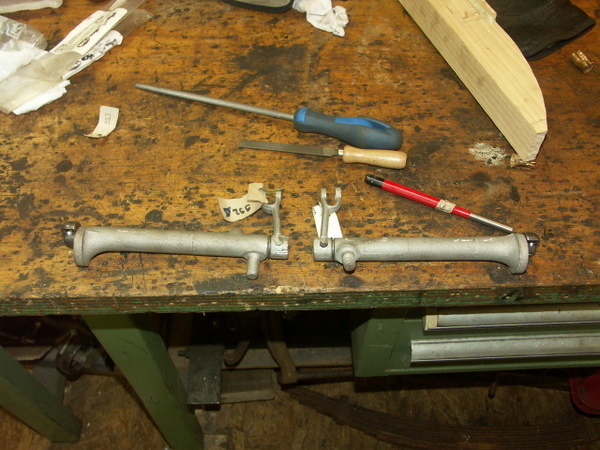 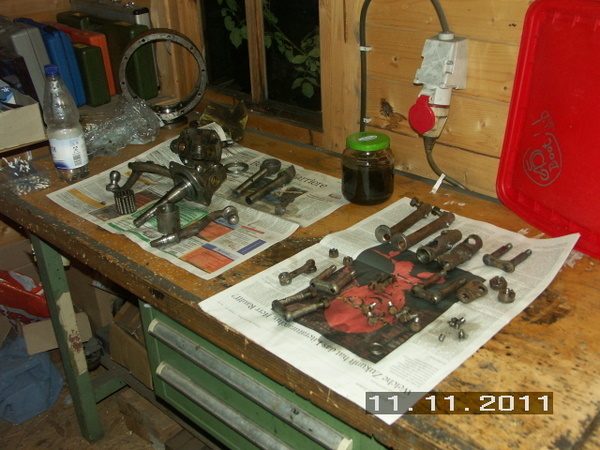 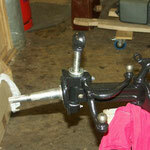 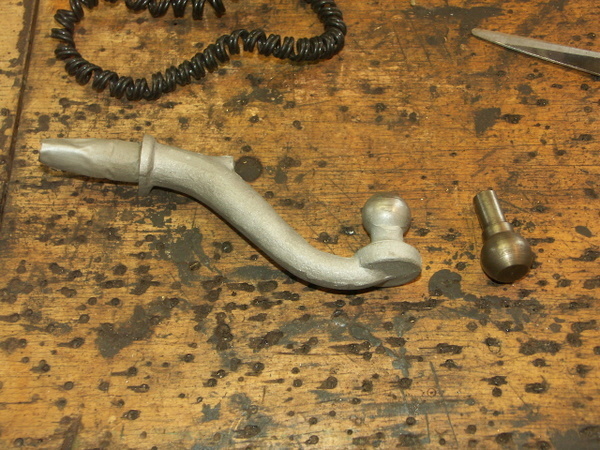 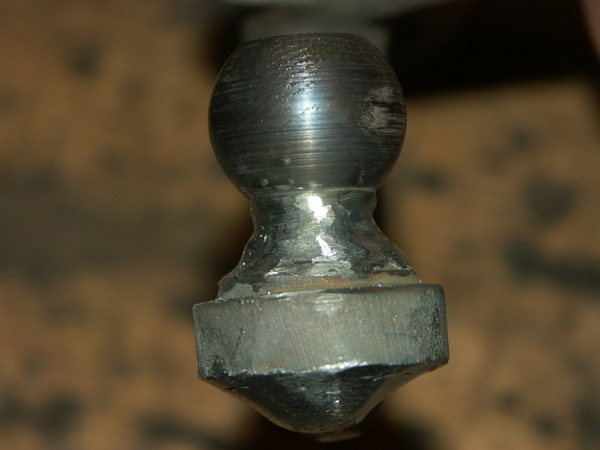 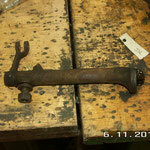 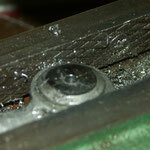 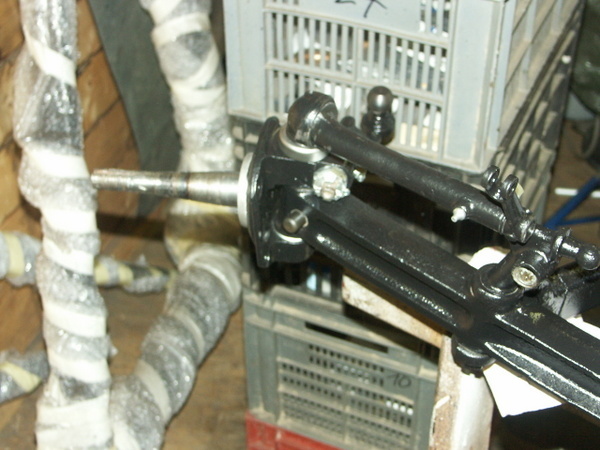 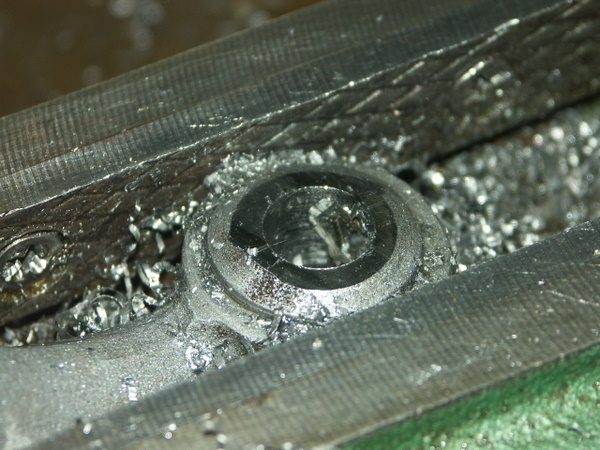 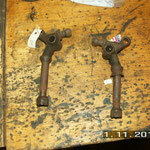 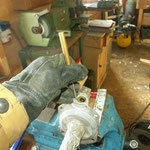 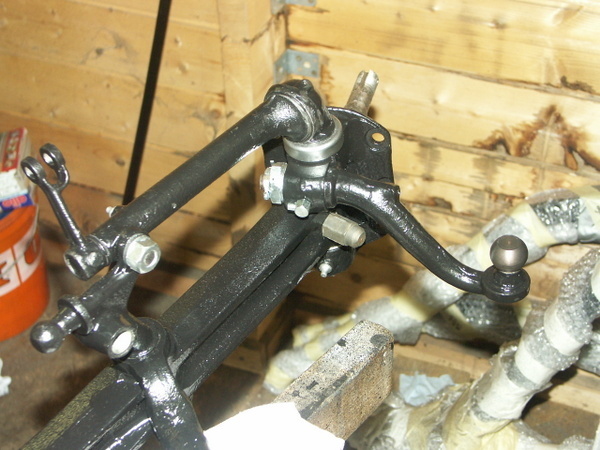 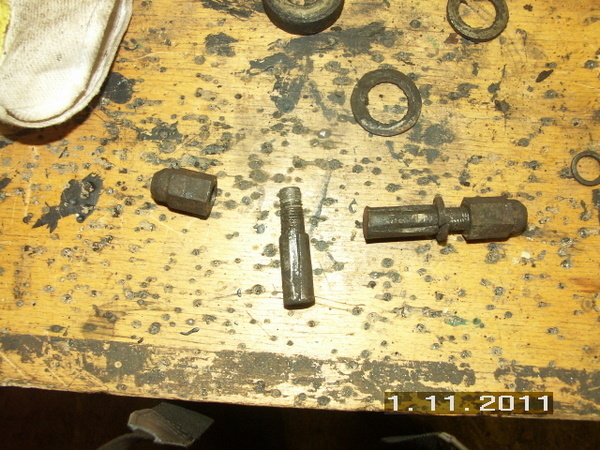 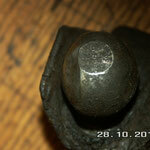 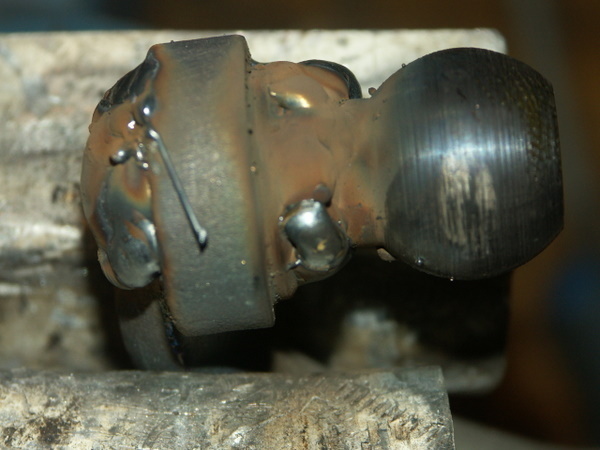 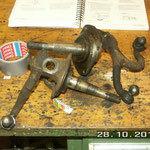 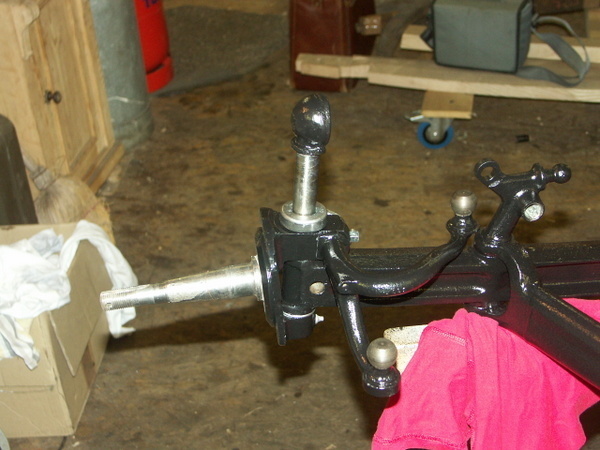 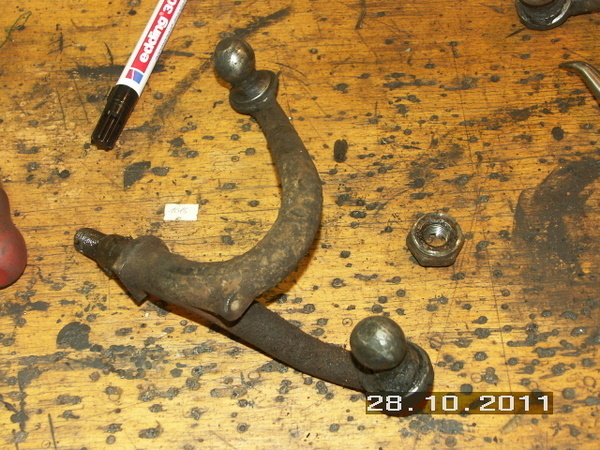 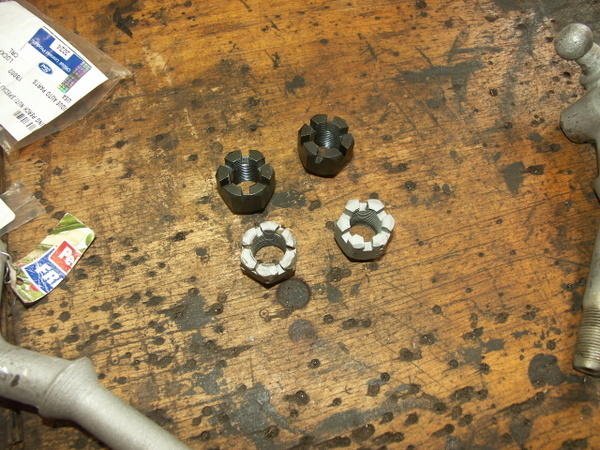 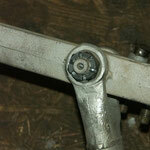 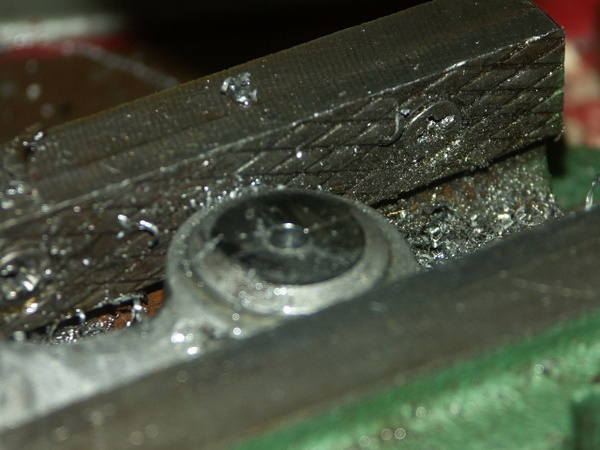 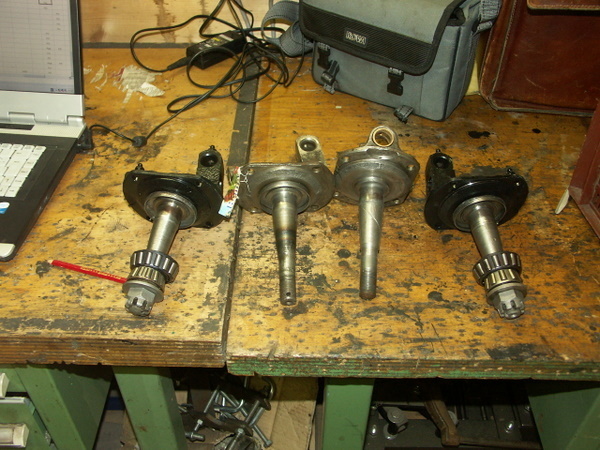 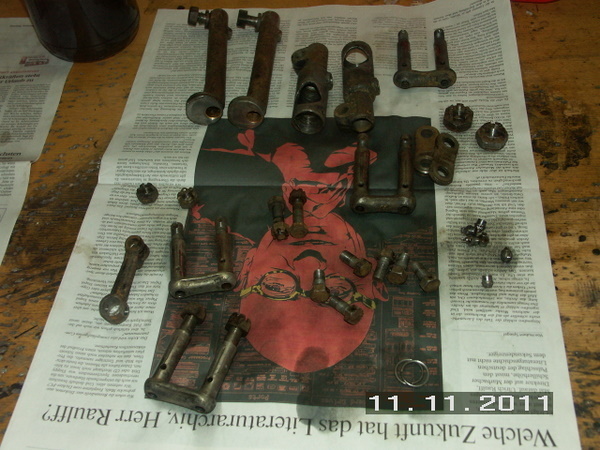 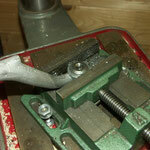 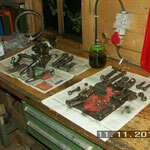 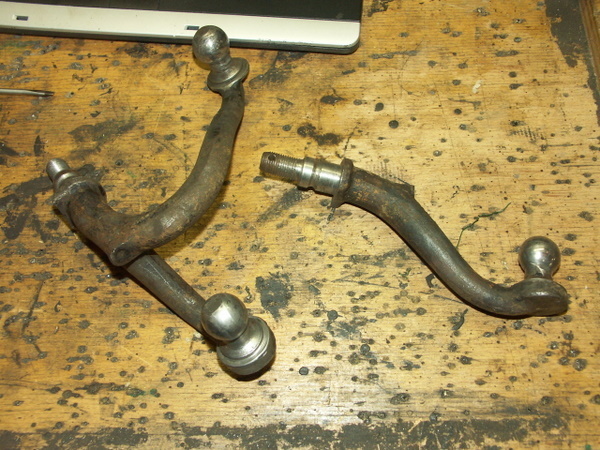 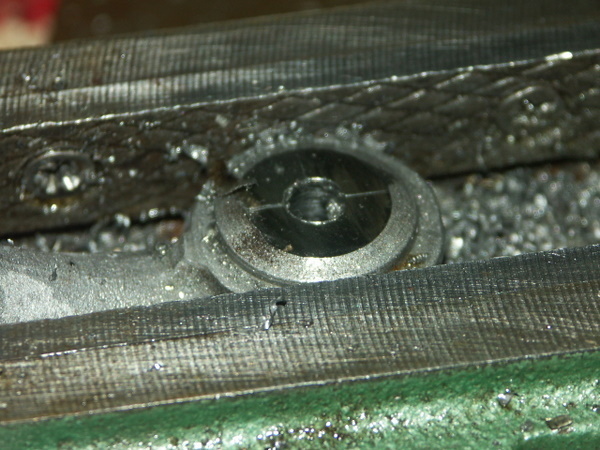 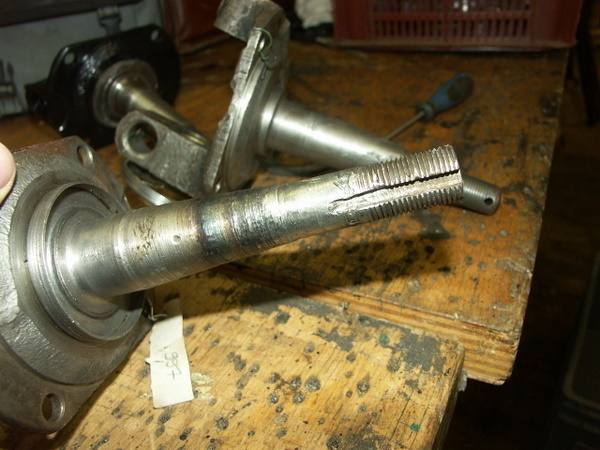 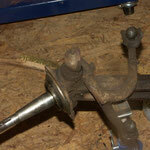 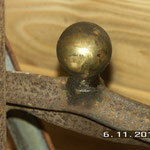 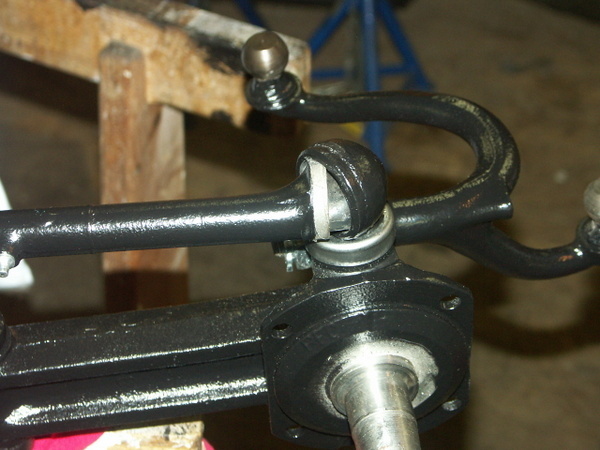 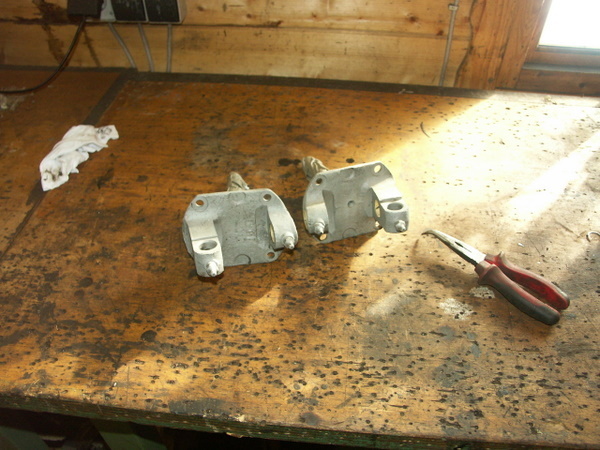 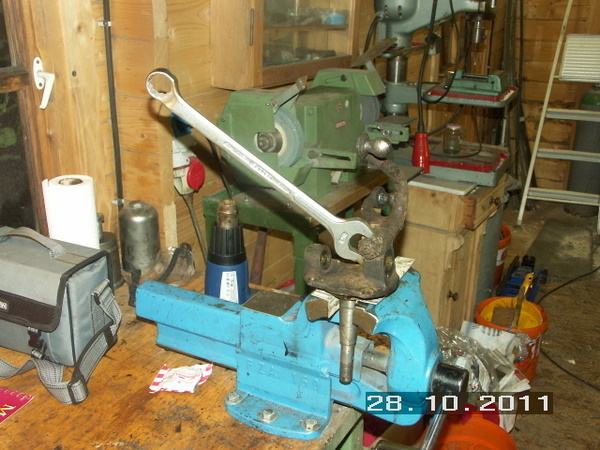 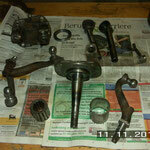 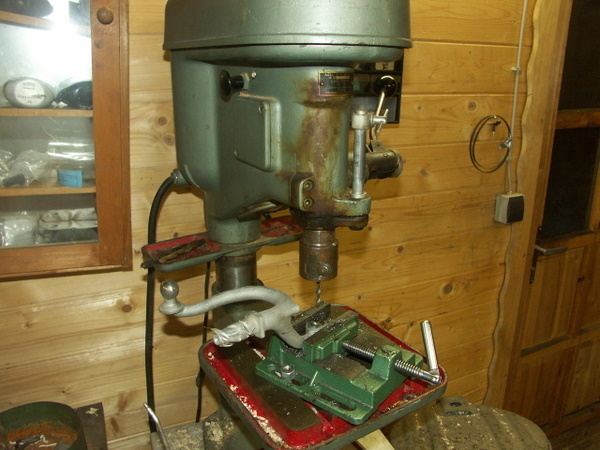 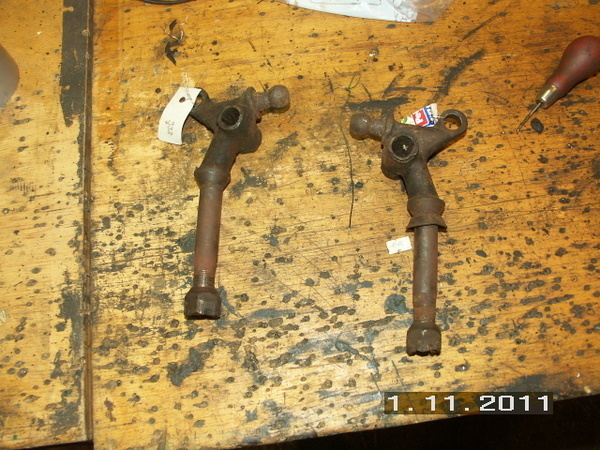 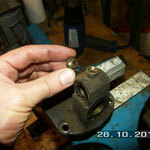 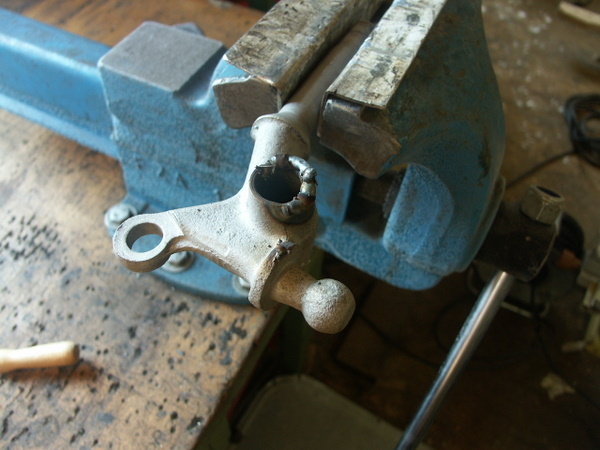 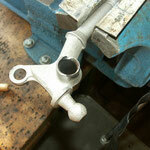 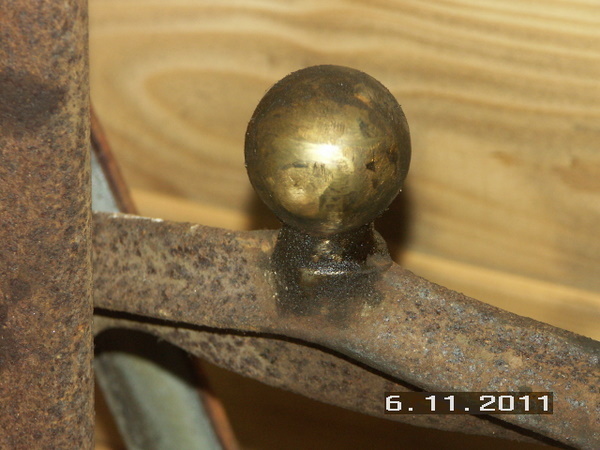 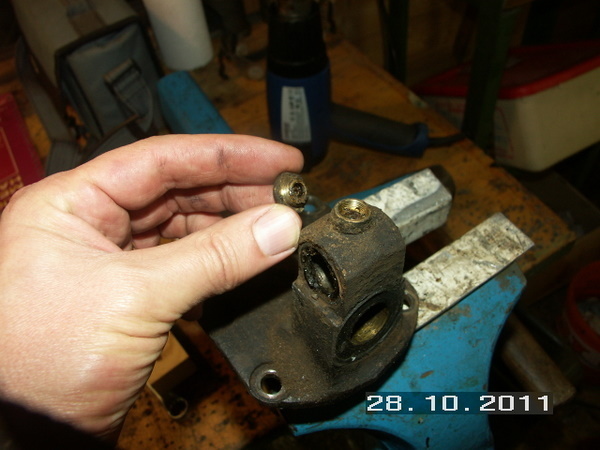 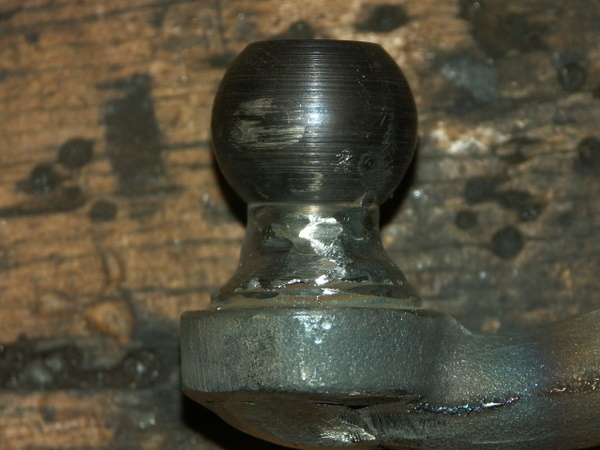 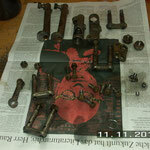 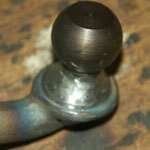 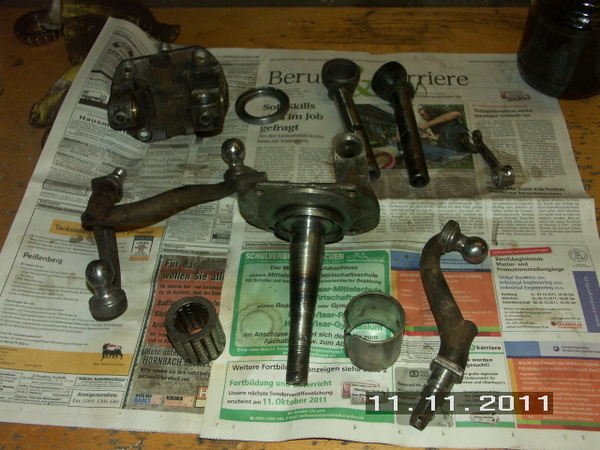 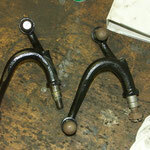 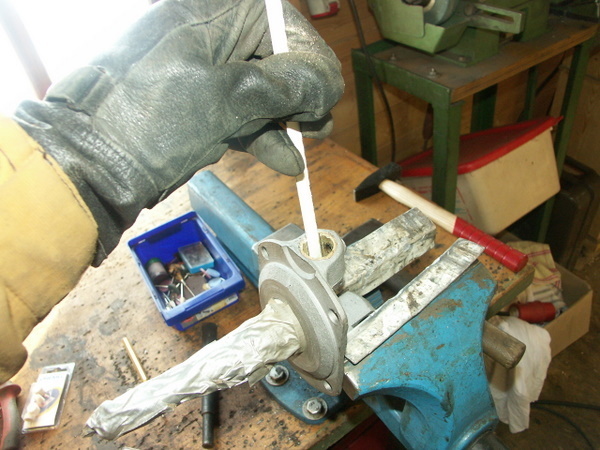 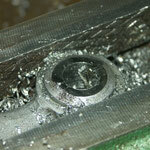 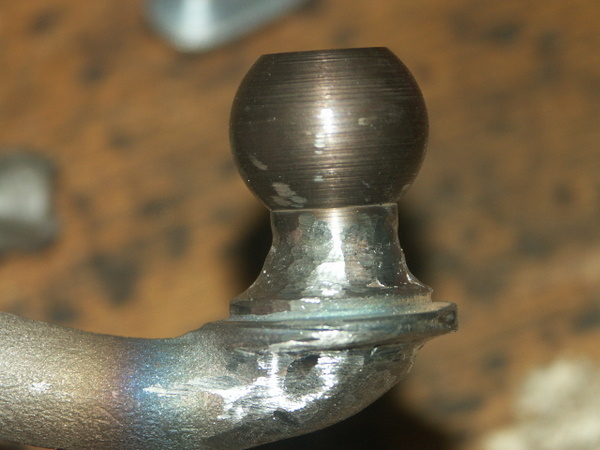 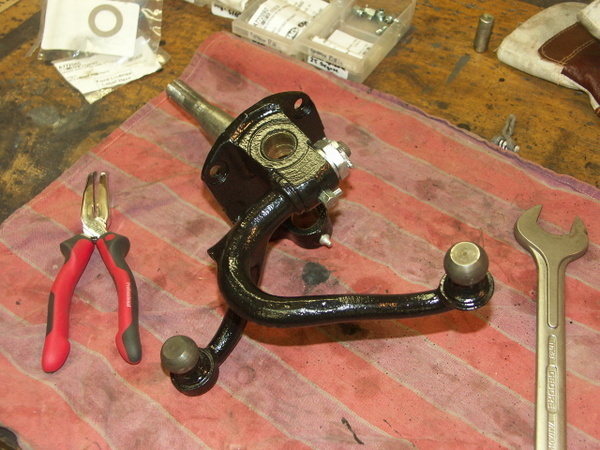 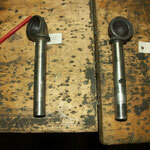 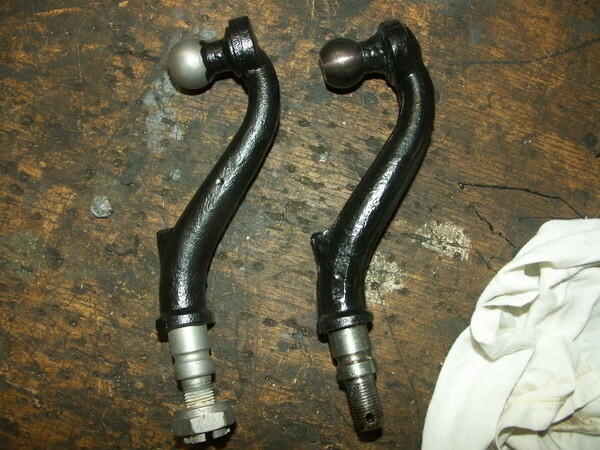 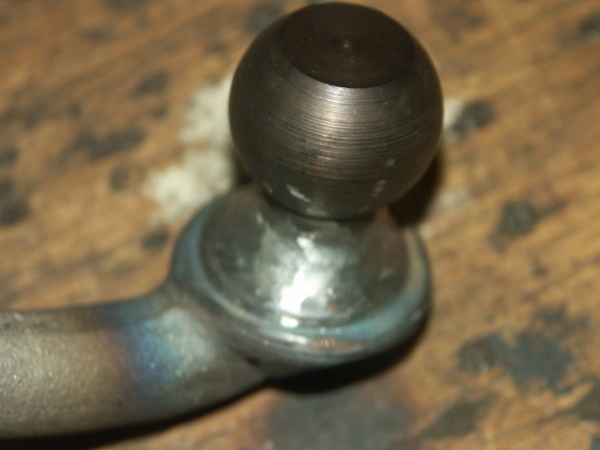 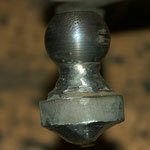 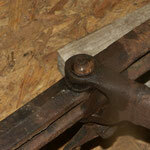 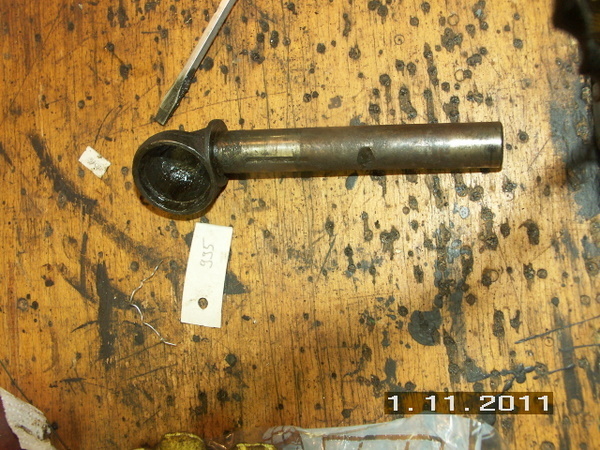 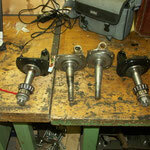 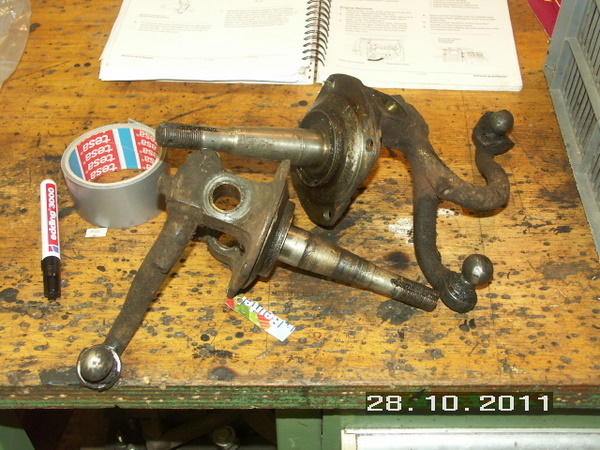 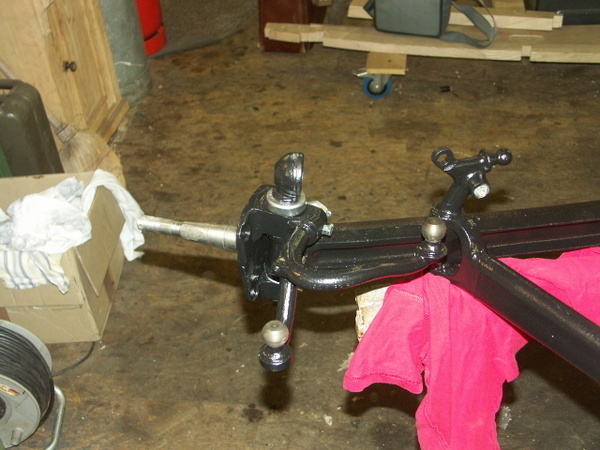 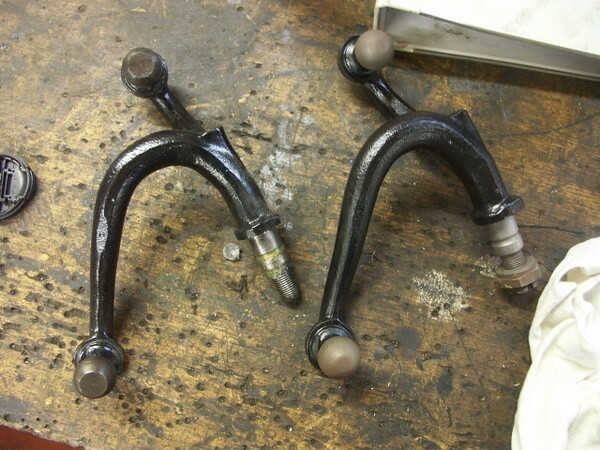 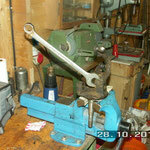 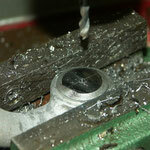 The spindles are worn, where the bearings are attached, but can be reused as is. 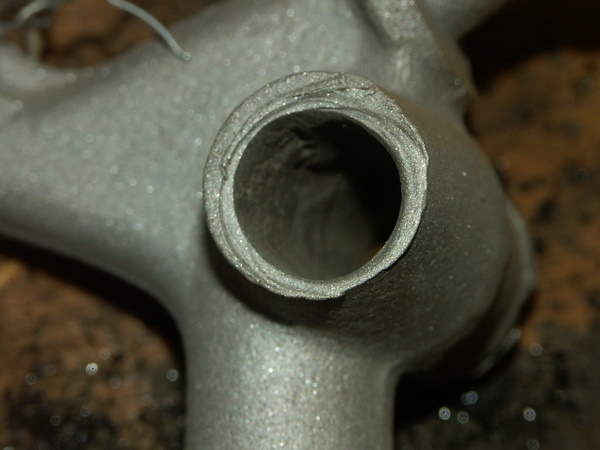 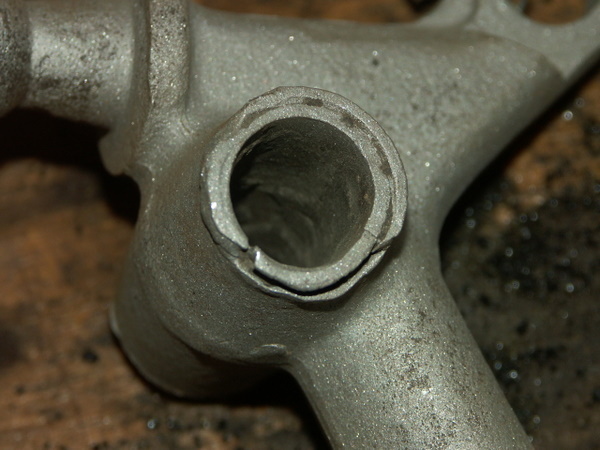 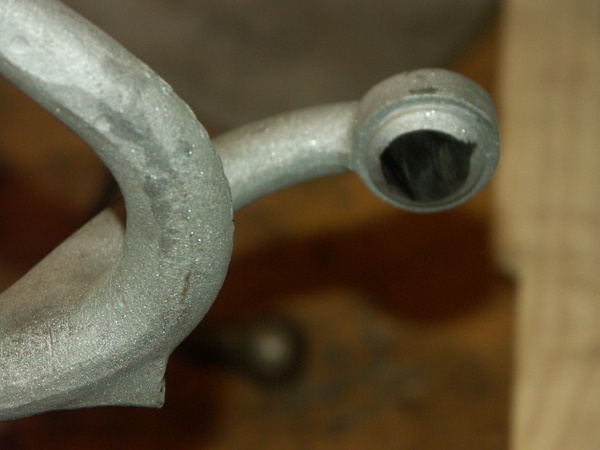 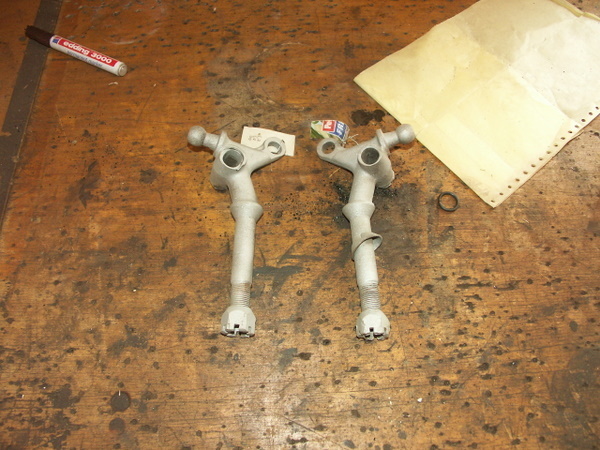 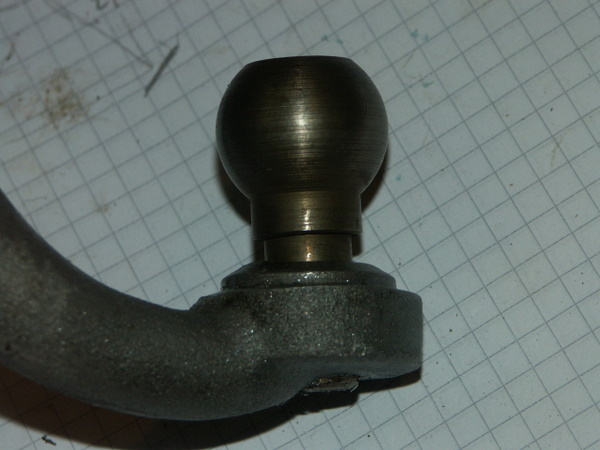 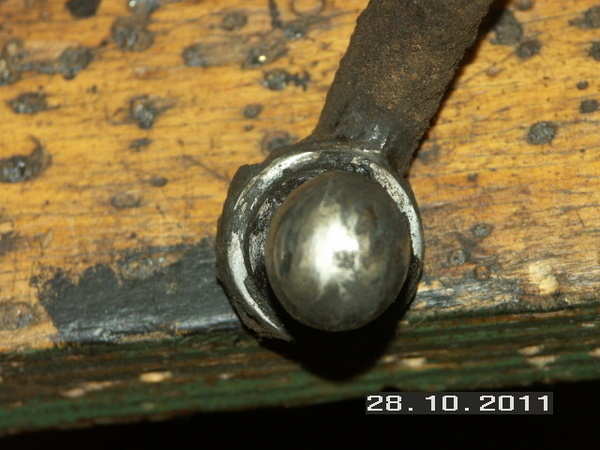 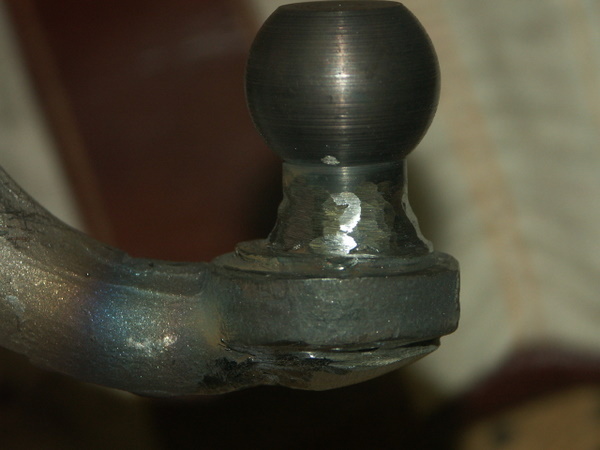 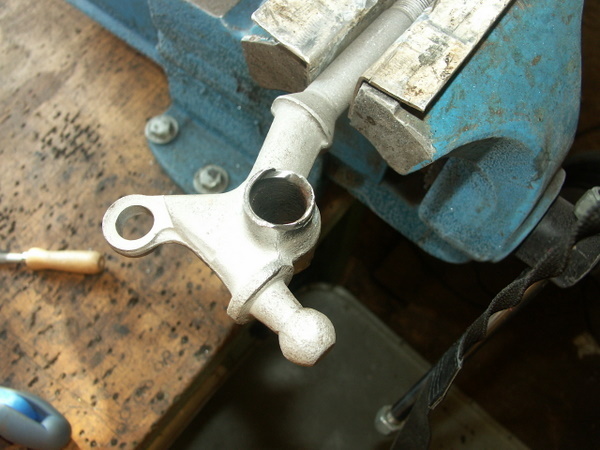 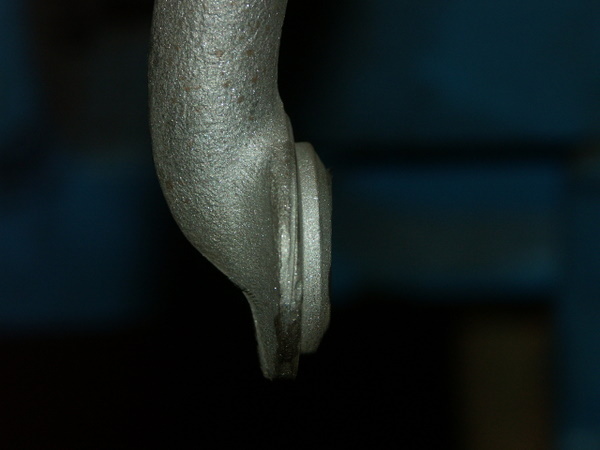 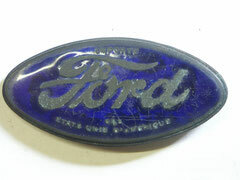 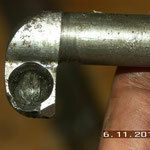 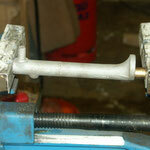 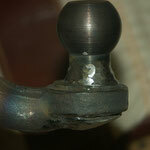 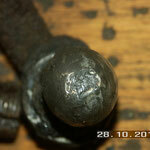 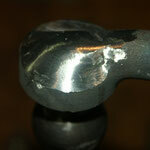 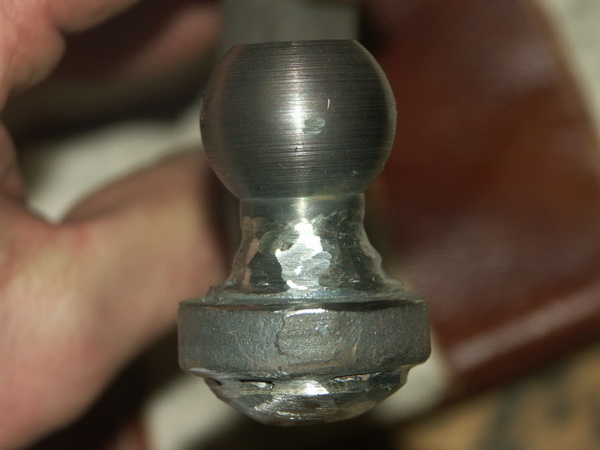 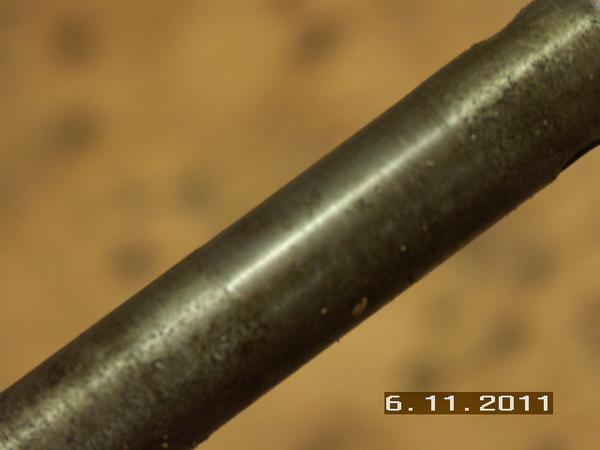 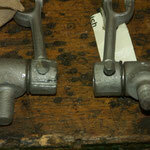 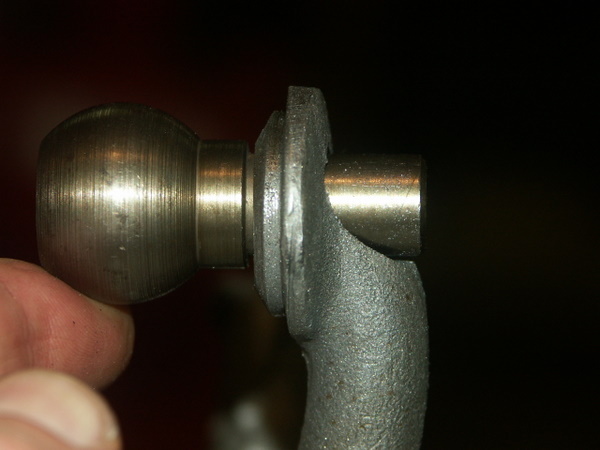 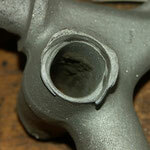 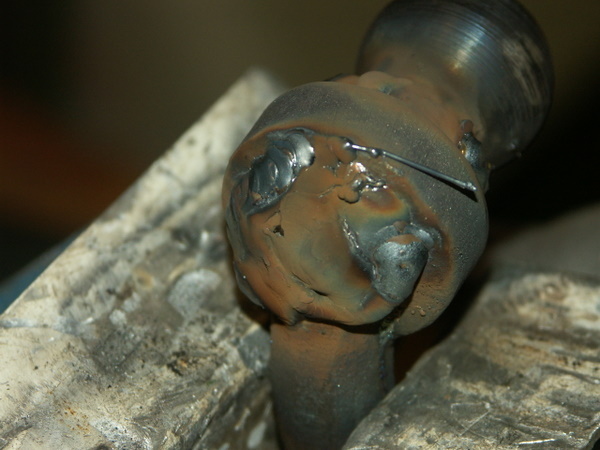 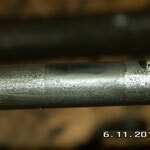 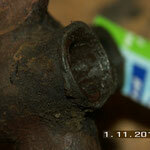 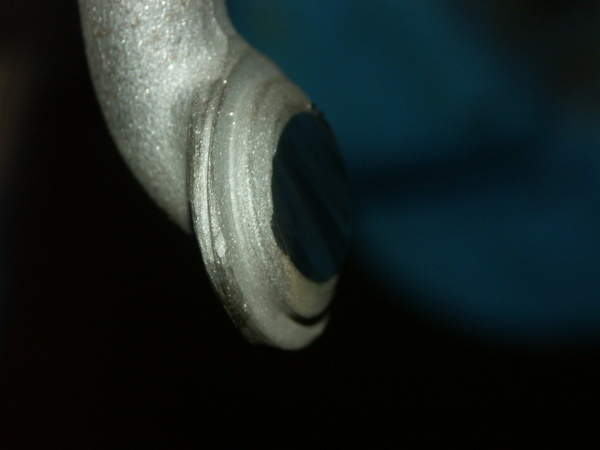 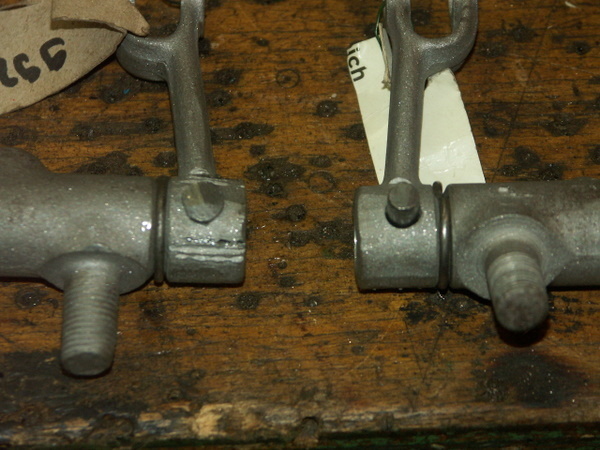 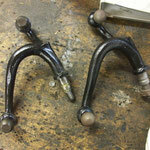 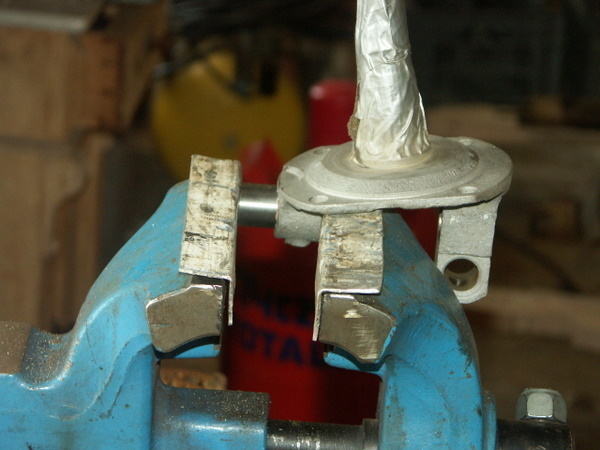 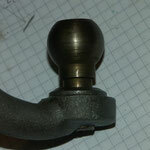 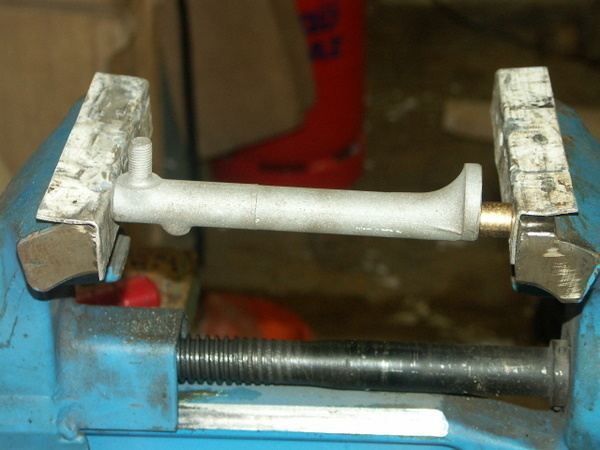 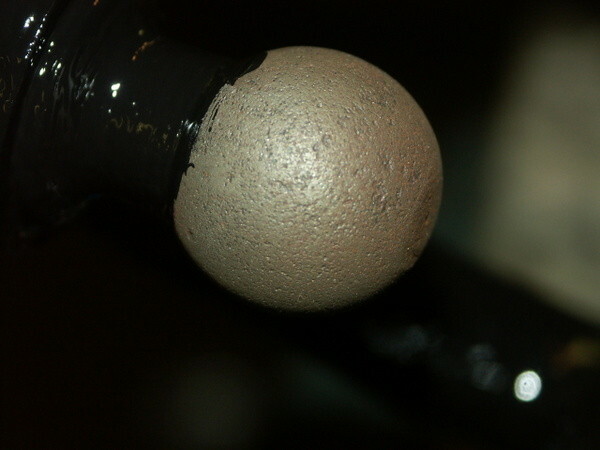 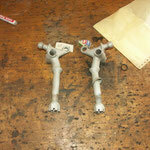 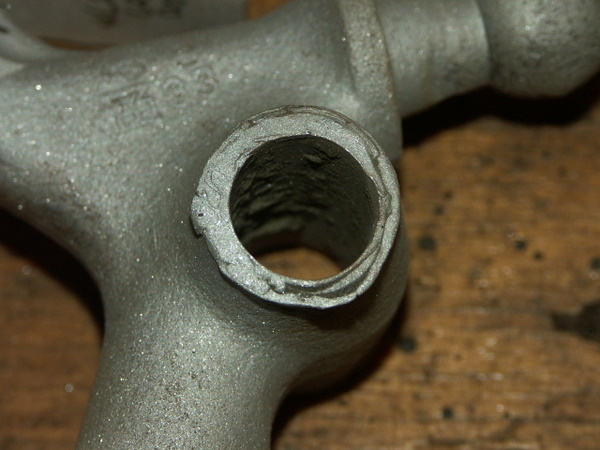 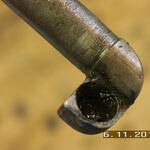 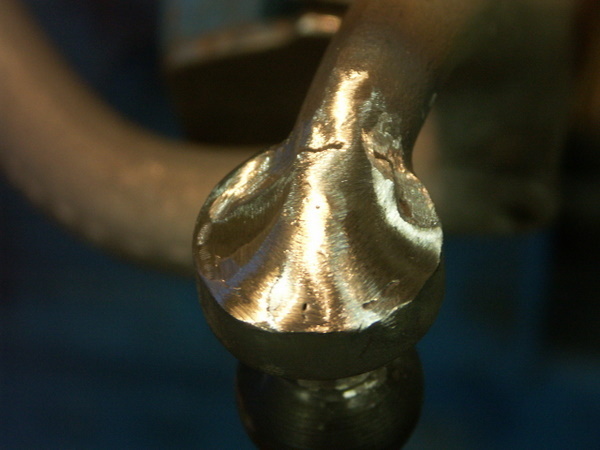 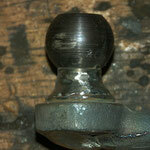 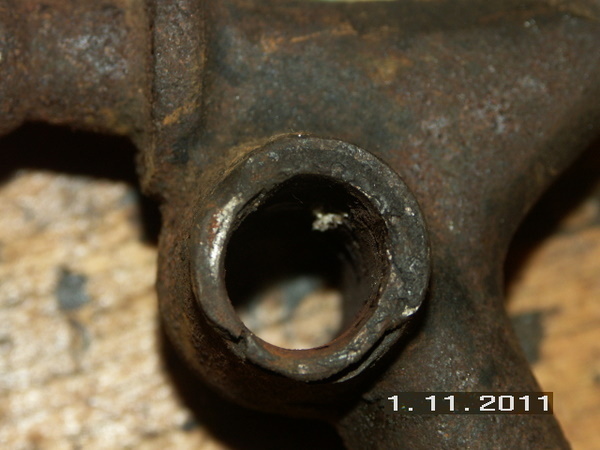 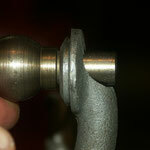 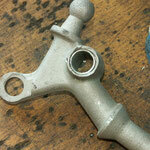 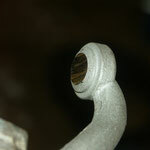 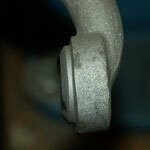 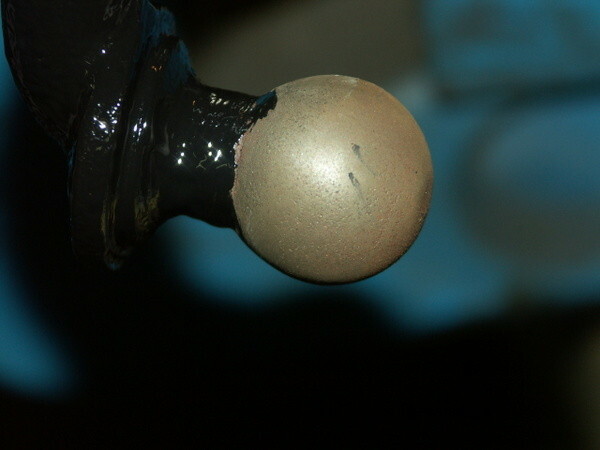 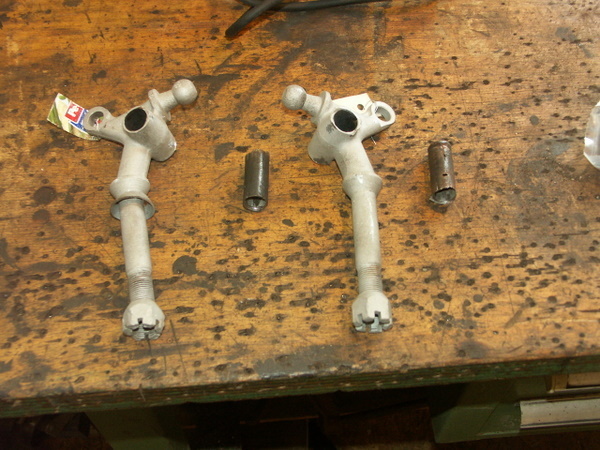 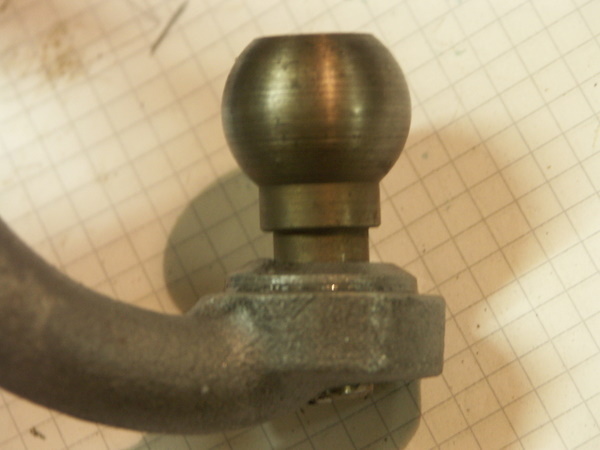 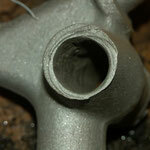 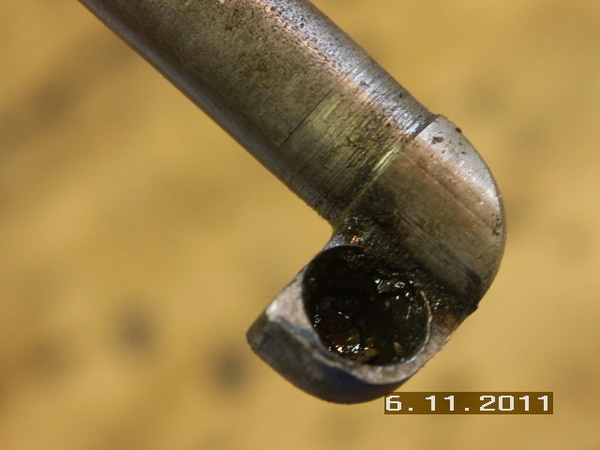 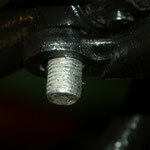 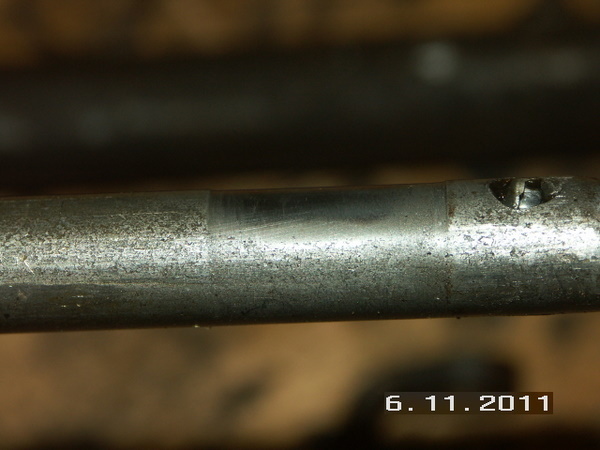 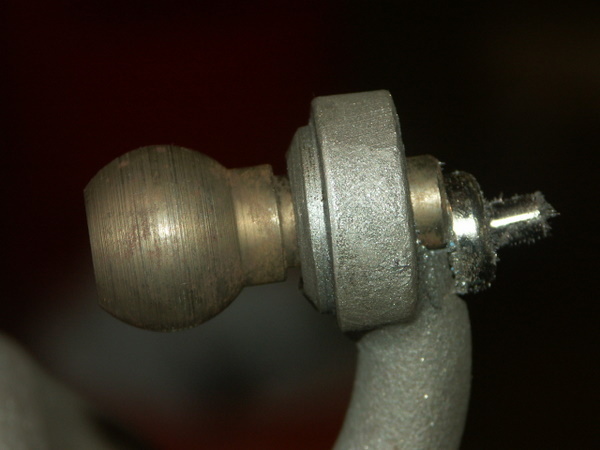 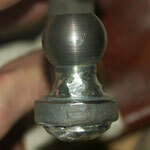 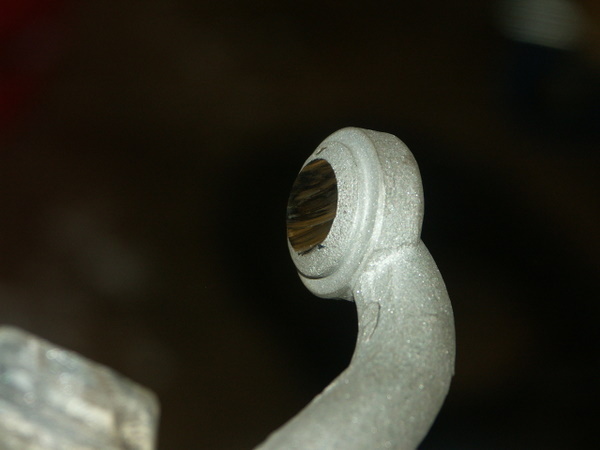 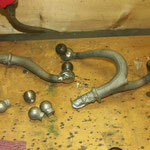 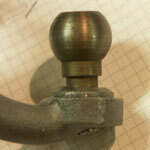 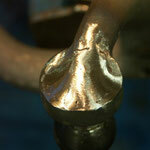 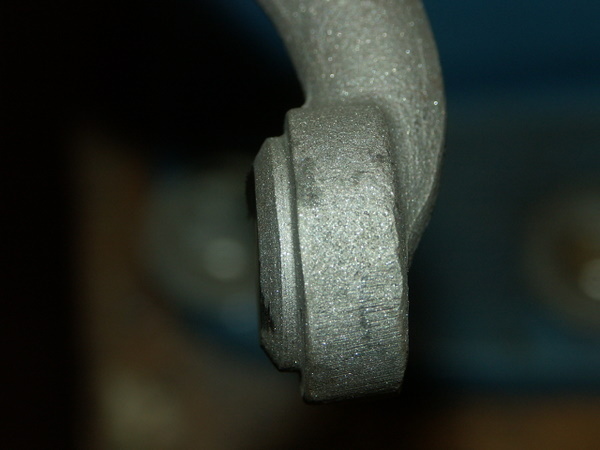 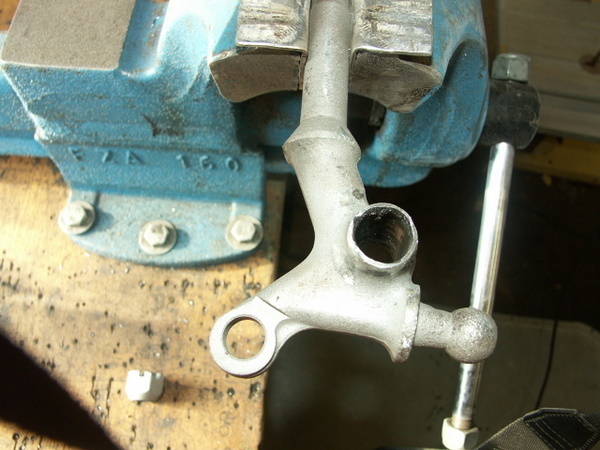 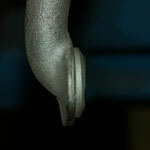 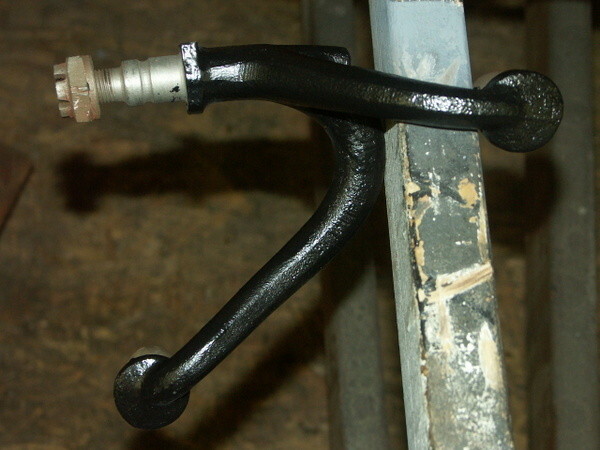 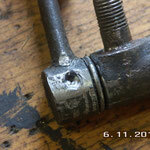 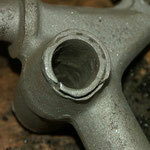 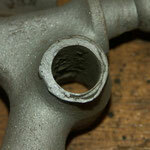 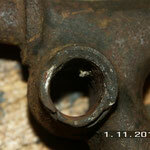 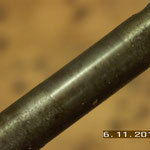 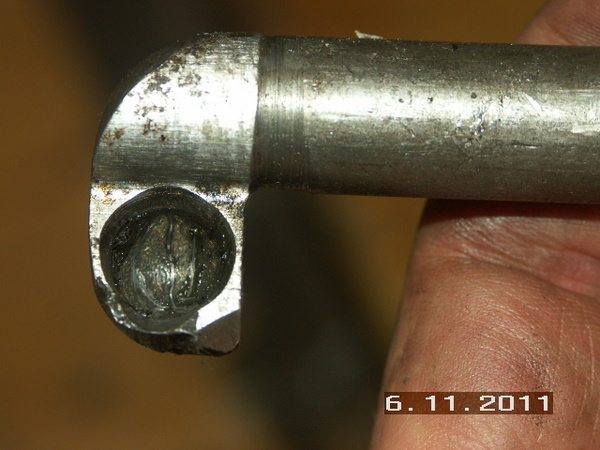 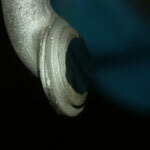 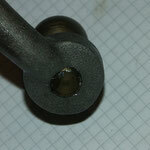 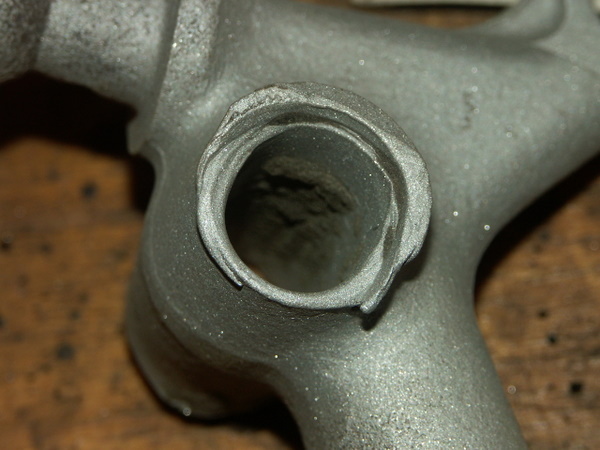 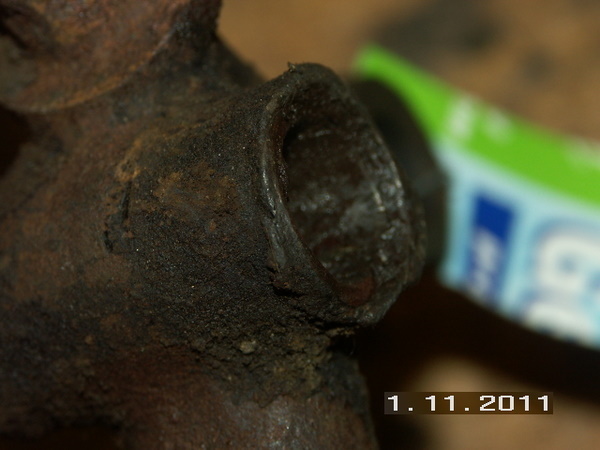 All grease fittings are replaced by original style ones. 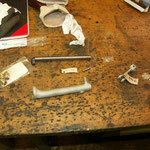 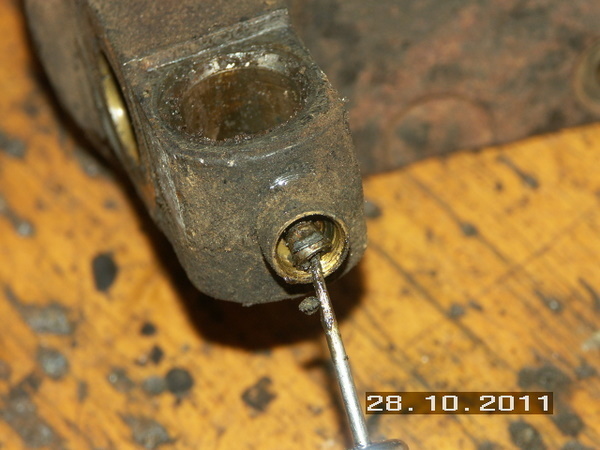 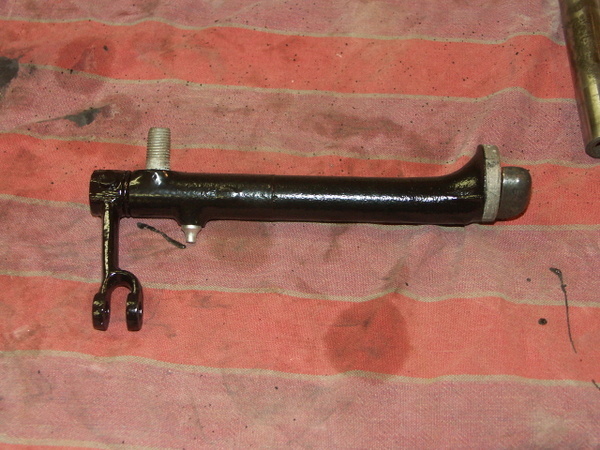 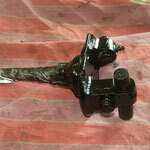 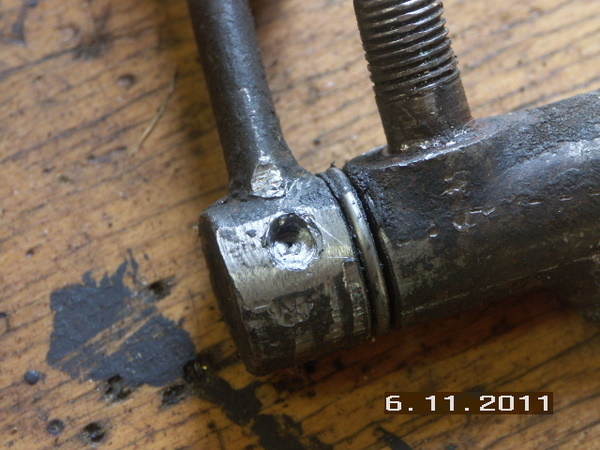 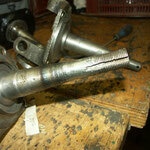 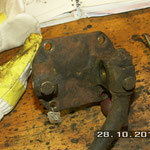 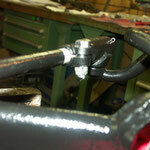 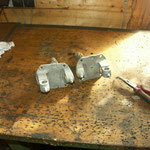 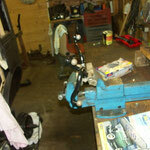 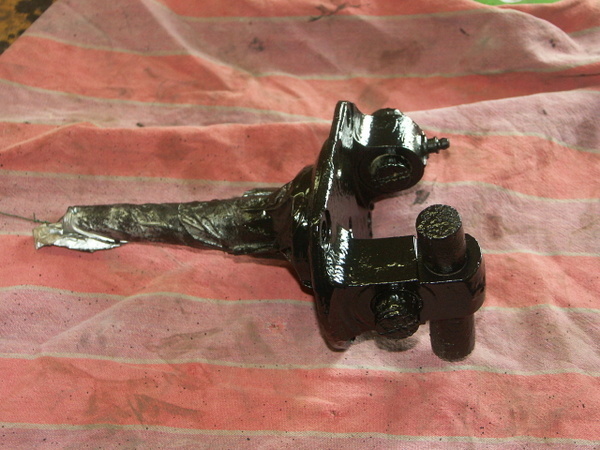 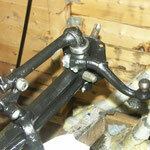 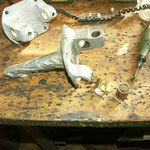 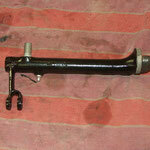 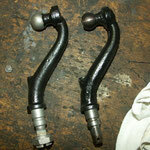 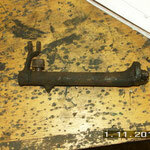 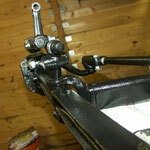 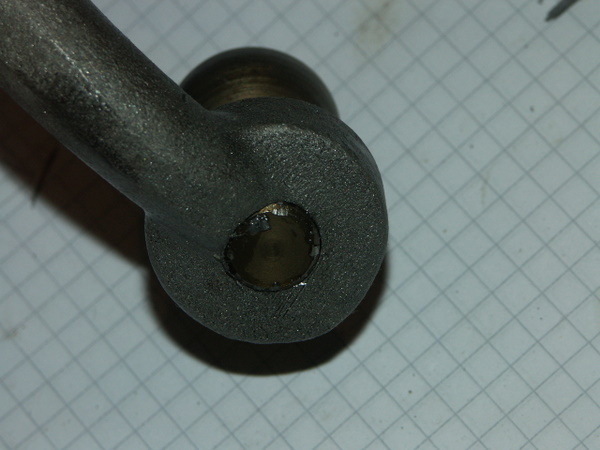 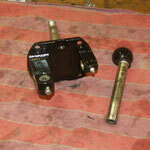 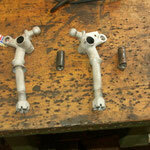 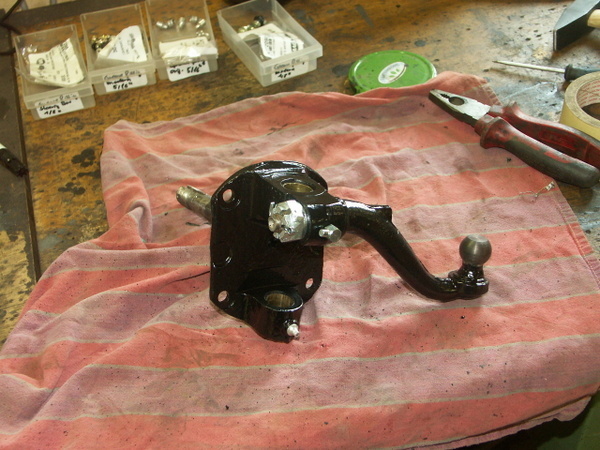 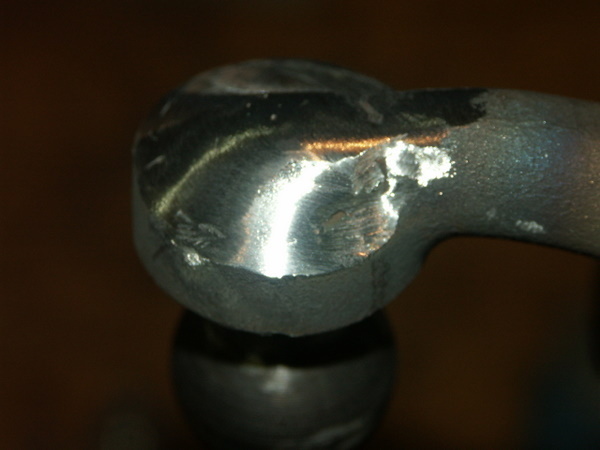 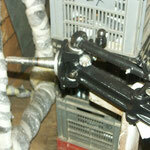 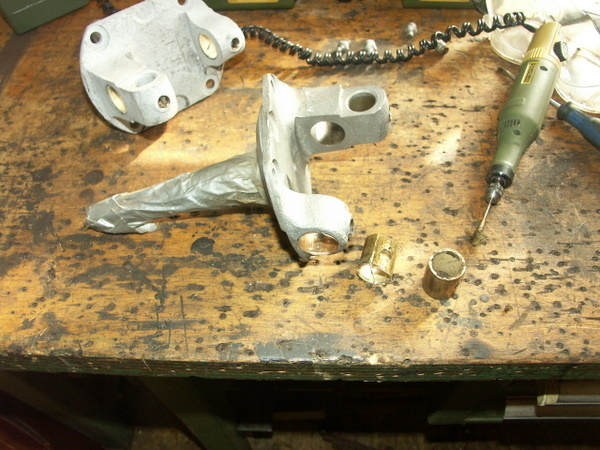 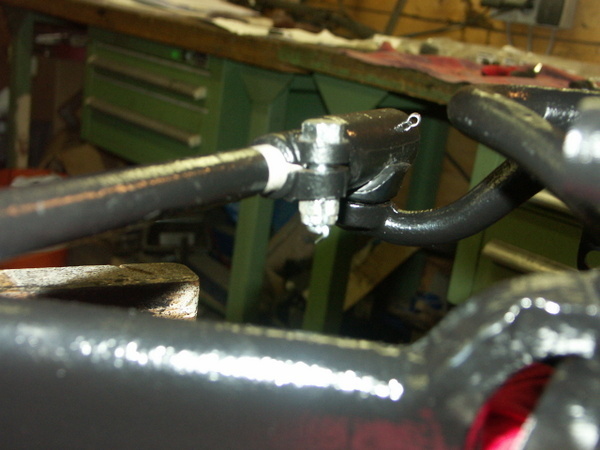 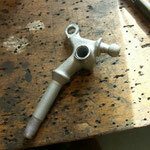 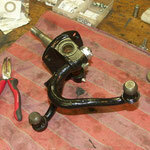 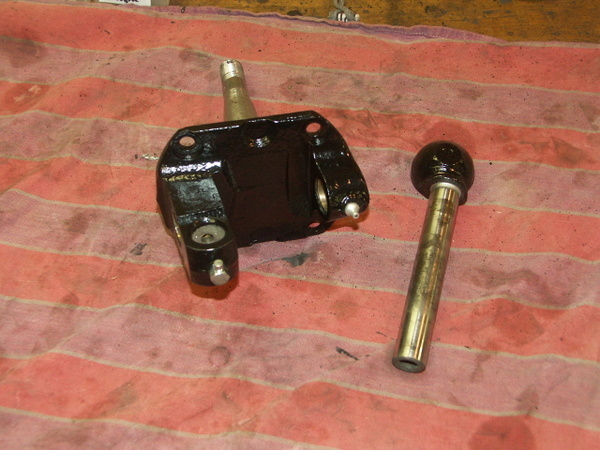 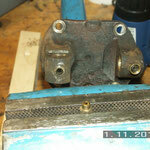 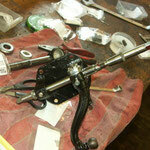 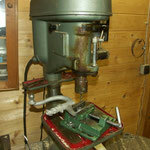 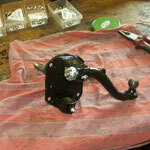 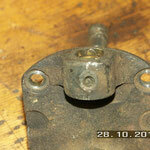 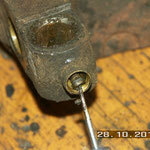 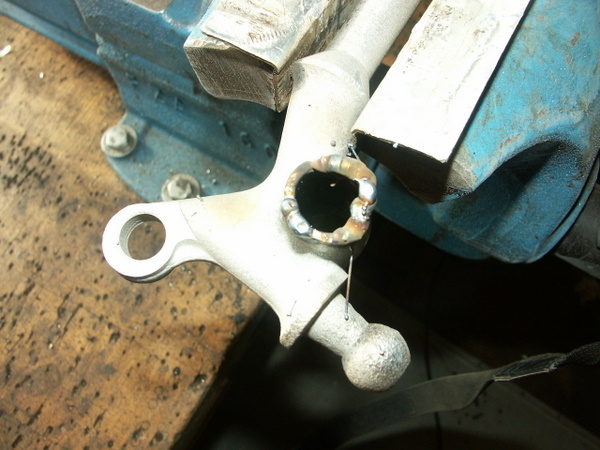 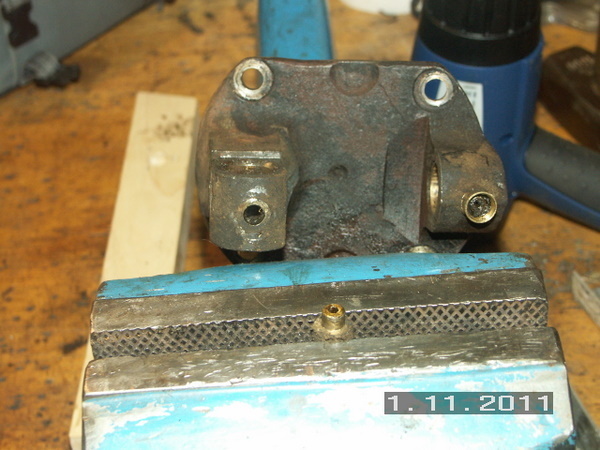 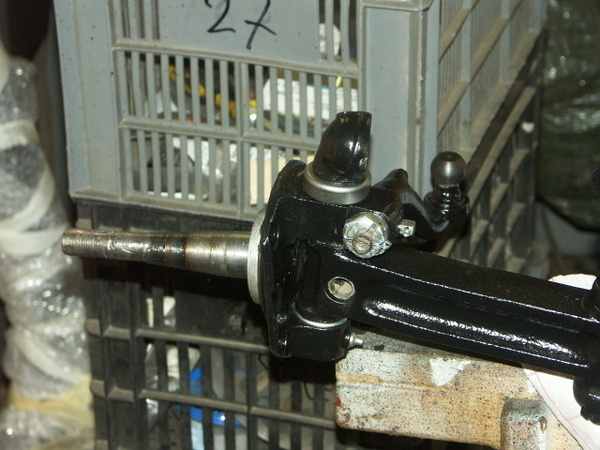 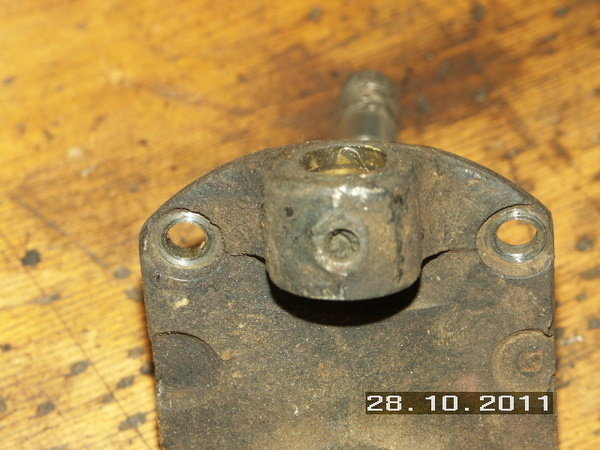 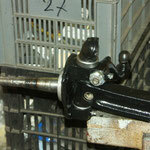 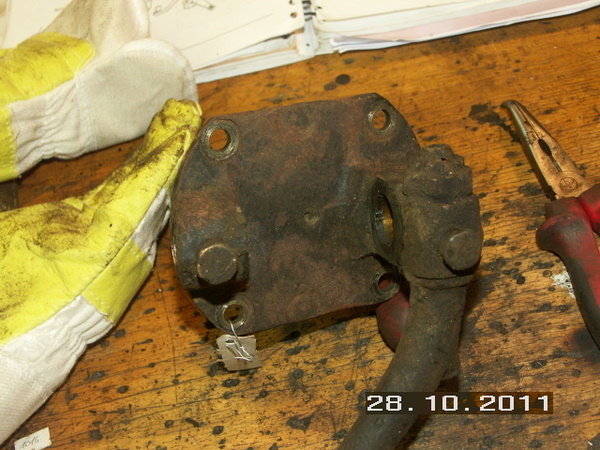 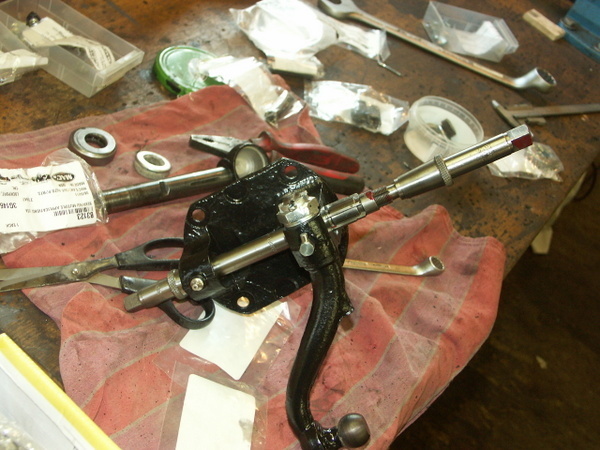 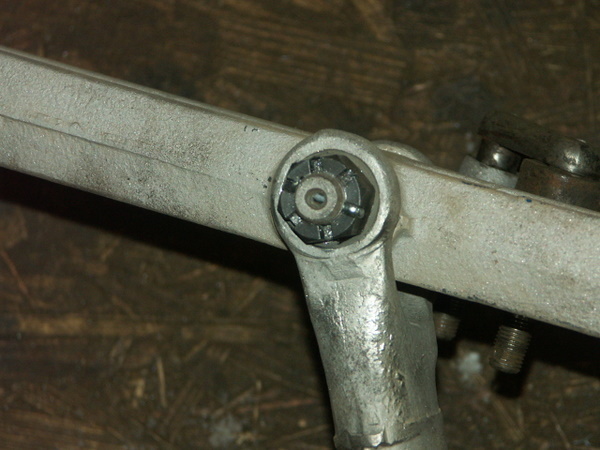 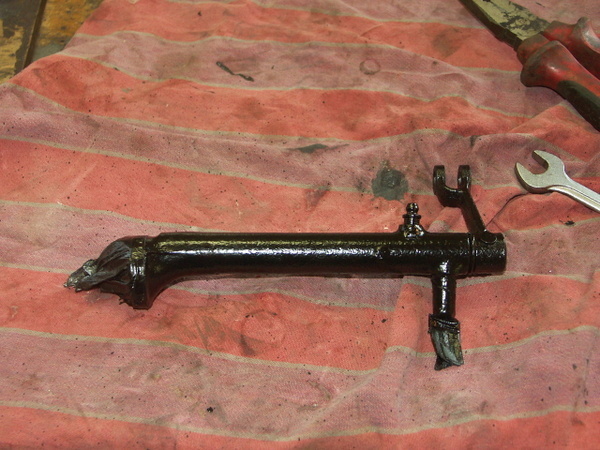 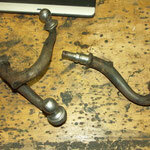 A Major problem was to get the front brake actuating arms back in place. 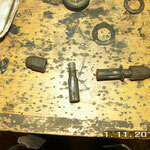 I did suceed but the threads were damaged. 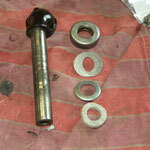 The nuts nevertheless could be tightend. 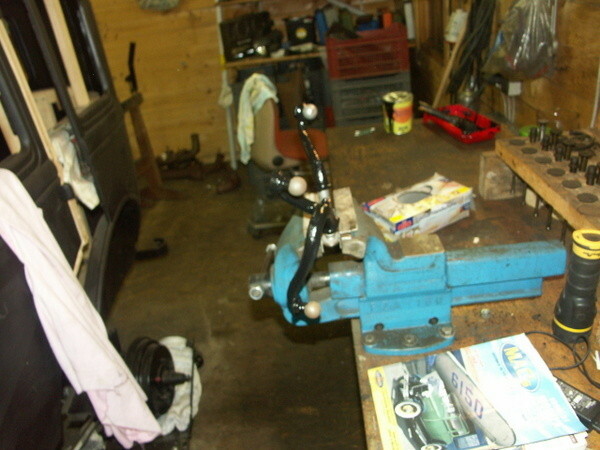 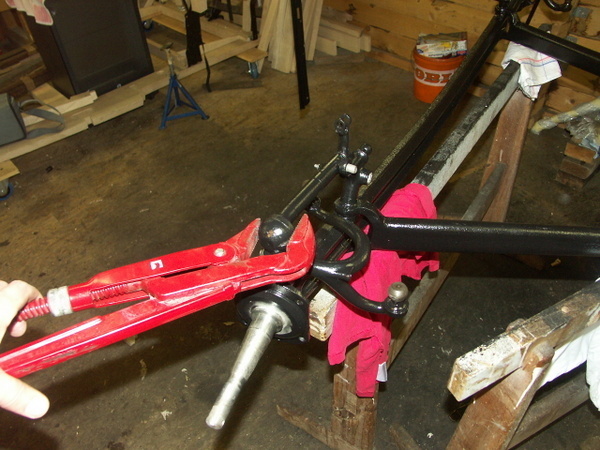 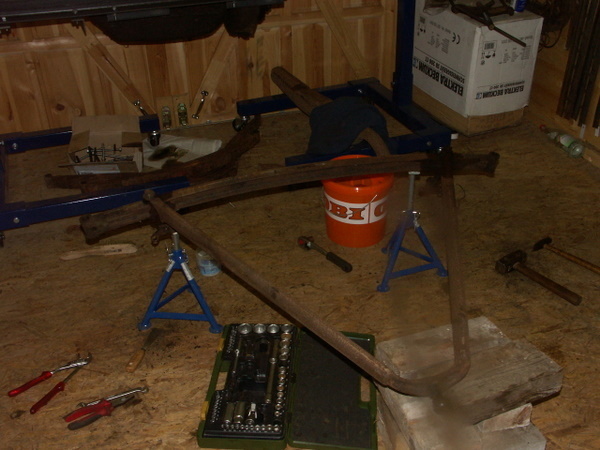 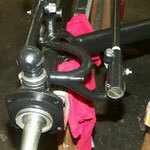 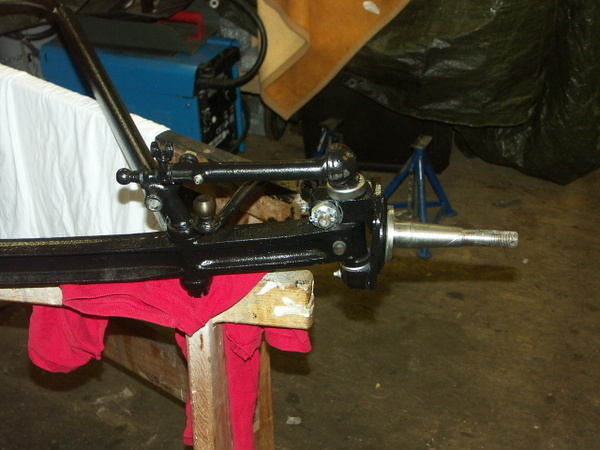 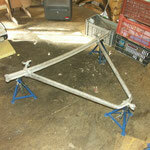 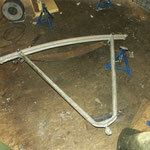 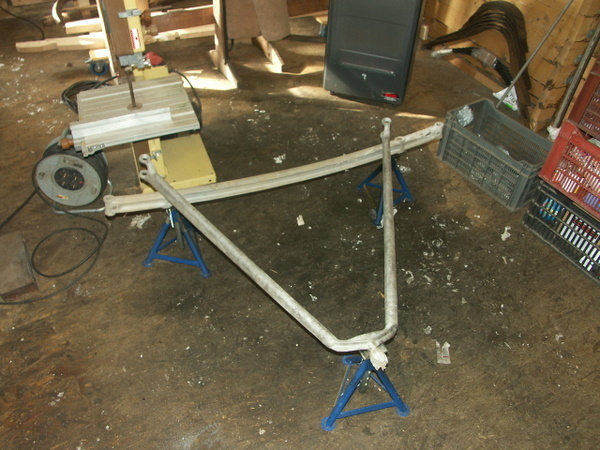 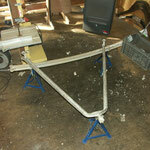 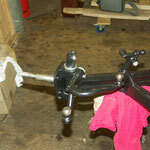 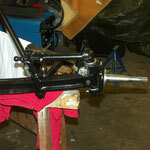 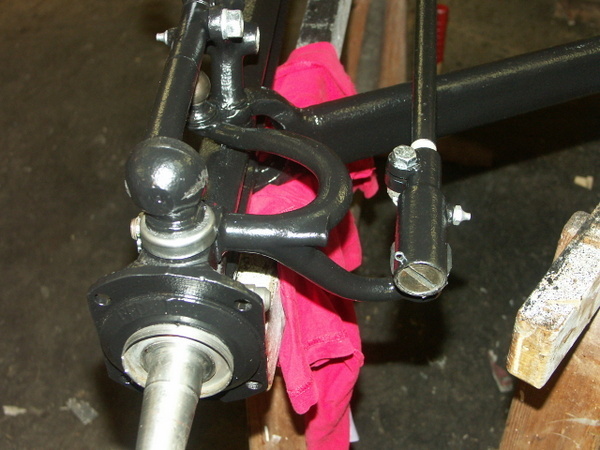 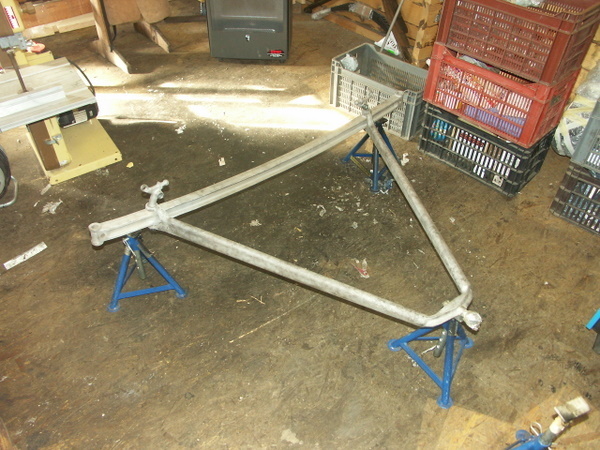 The front axle is finished, but steering seemes to be tight. 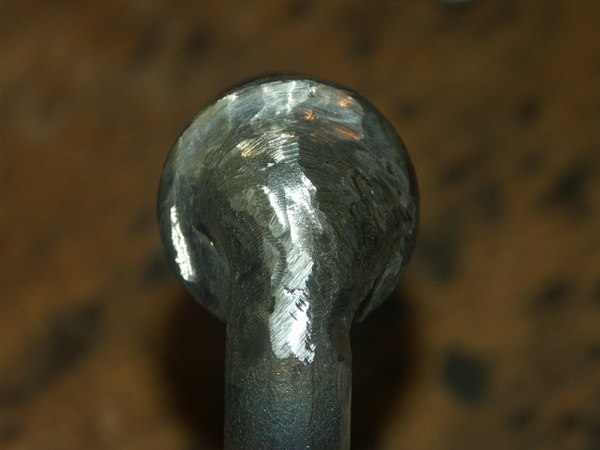 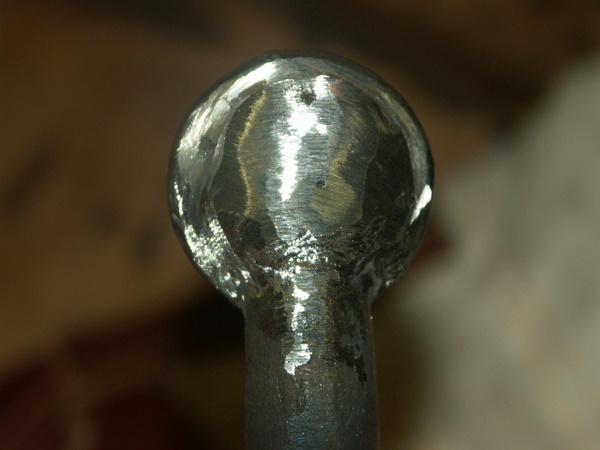 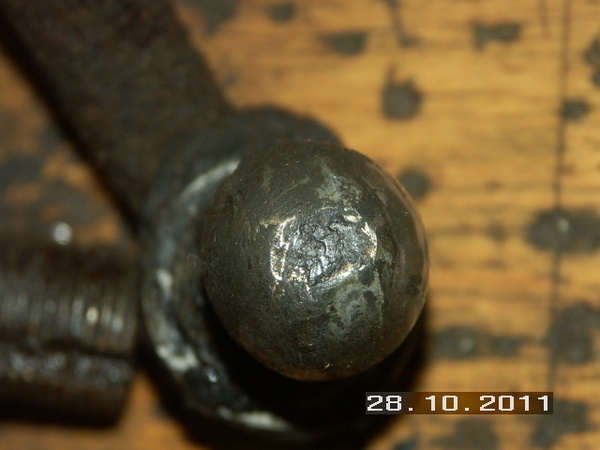 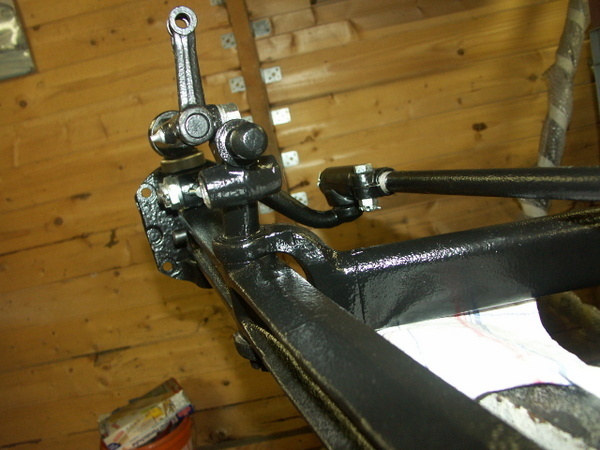 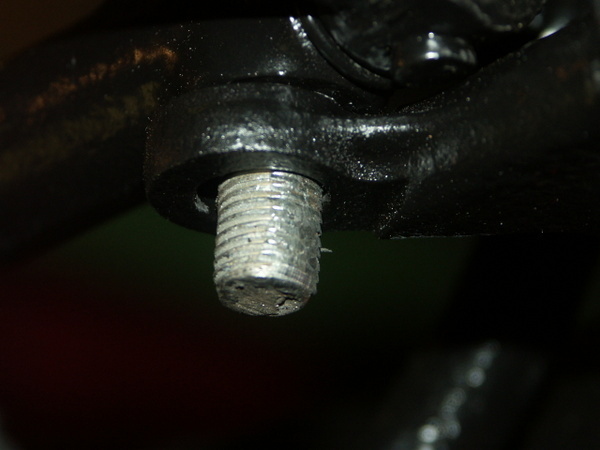 A kind adviser on fordbarn.com suggested not to use the welded sttering arms, as there might be a risk ob breaking during driving. 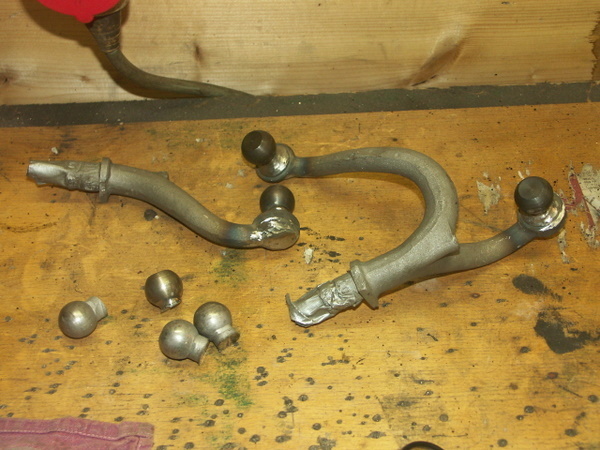 So I decided to buy good used ones and replace the welded ones. 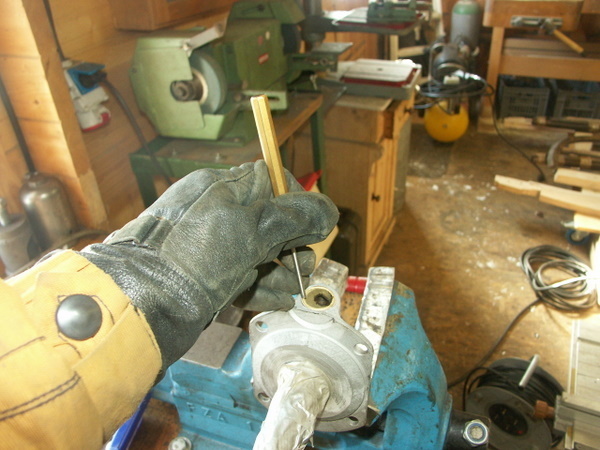 A lot of work for nothing, but safety first!